Here’s a last-minute alert for what looks like a nice double. 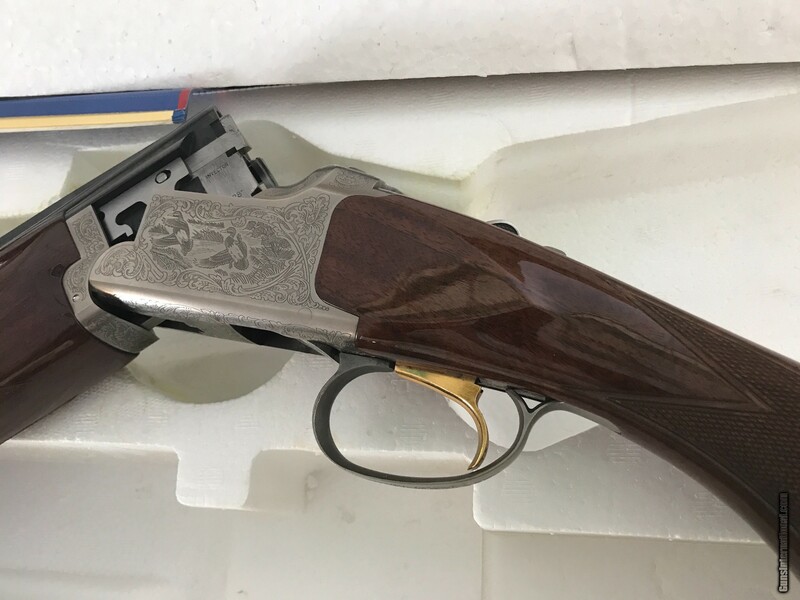 This Dickson SxS is on Gunbroker.com now. The listing end today, 4/15/2019, @ 9:36 PM. It’s a No Reserve sale and right now the gun is cheap. So if you like it, bid — you could get a deal. 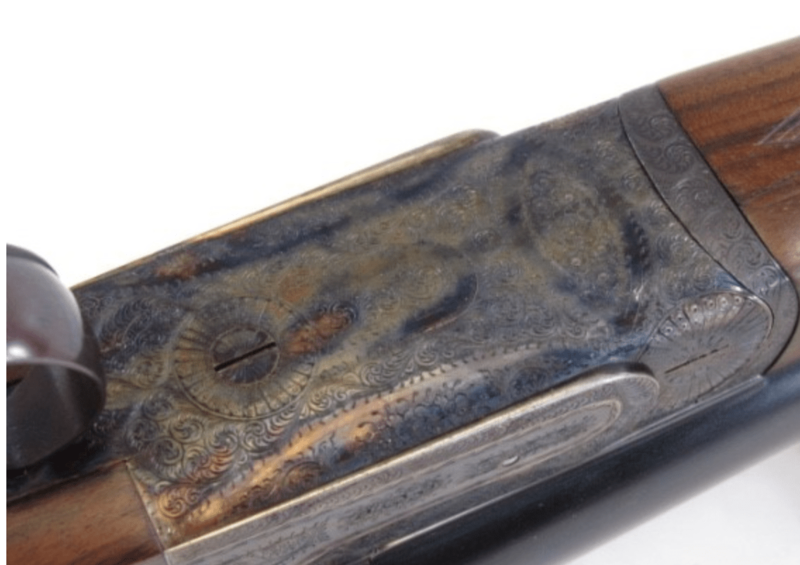 Stunning, second-grade hammerless boxlock by J. Dickson & Sons of Edinburgh…manufactured between the wars, this bespoke J. Dickson represents a lovely example of the work produced by one of Scotland’s most celebrated makers. Identified by serial number and confirmed by feature, this model was regarded as the second of five grades, and would have been customized to the original buyers taste. 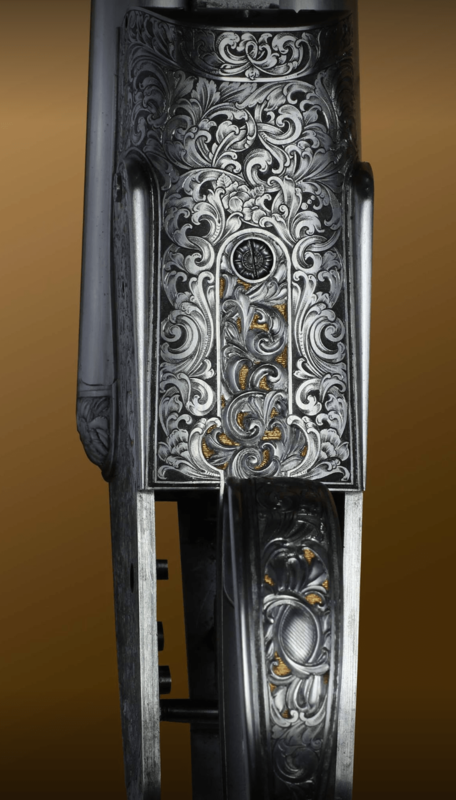 The features include a 30″ barrel of durable fluid steel, shared extractor, Anson & Deeley action with third cross-bolt fastener, 3″ chamber, pistol grip stock of fancy flamed Walnut, and embellishment in the form of 75% coverage Acanthus scroll engraving from one of Edinburgh’s most accomplished masters. 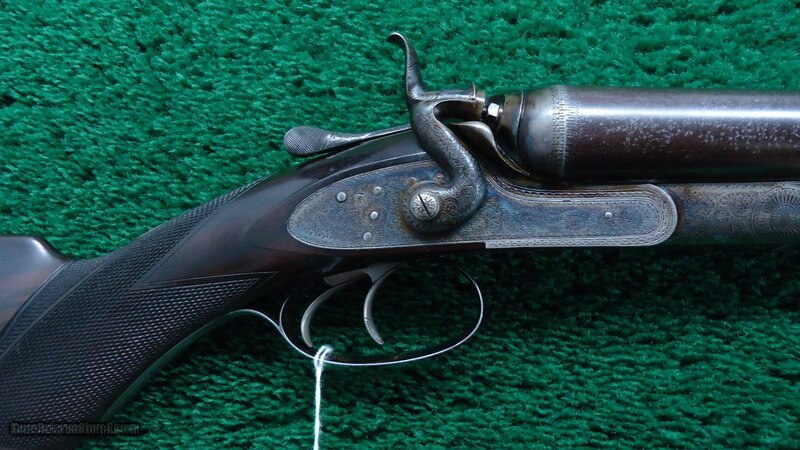 A remarkably original example, this gun was undoubtedly ordered by someone of means and-despite the British tradition of frequent refurbishment-appears to have only seen standard maintenance, as well as a period reblue of the barrels and refreshing of the stock, with the factory case colors, although softening, remaining at a lovely 60%. 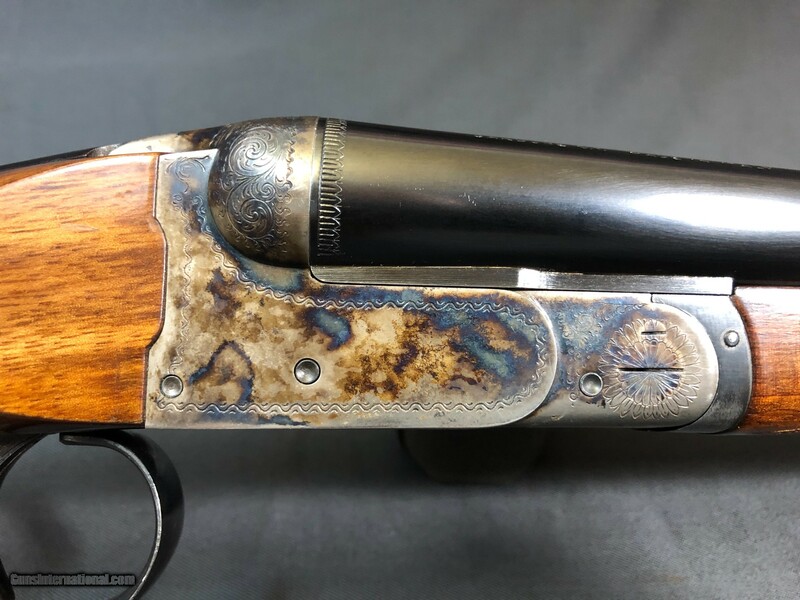 A stunning example of an English classic from the end of Britain’s golden age of gun making, this shotgun-reproved in 1997 and ready for trips afield this Fall-would be an outstanding addition to any discriminating collection. Excellent, the re-blackened barrels are at 90%, the original bluing on the underside of the frame is evenly faded but remains at a lovely 75%, with the frame displaying softening but rich pastel case color hues trending from pink to violet and blue. There is dried lubricant, as well some honest fading, but neither rust or pitting are present on any metal surface. 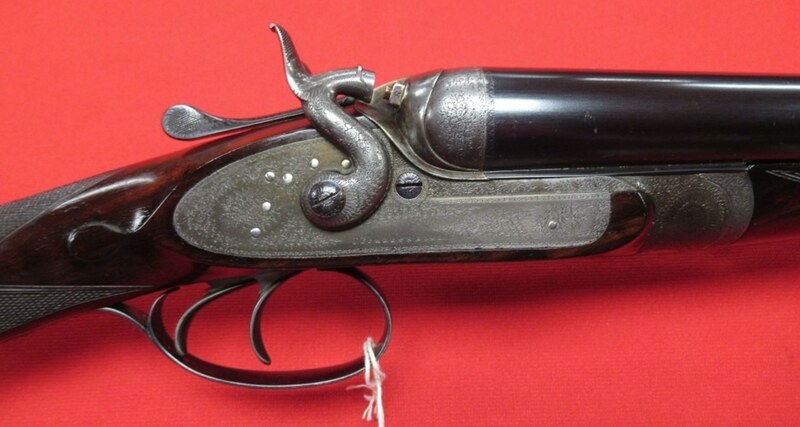 The markings include matching numbers, period Birmingham House proofs, J. Dickson & Sons signature on the sides of the receiver and Edinburgh address on the top rib of the barrel. 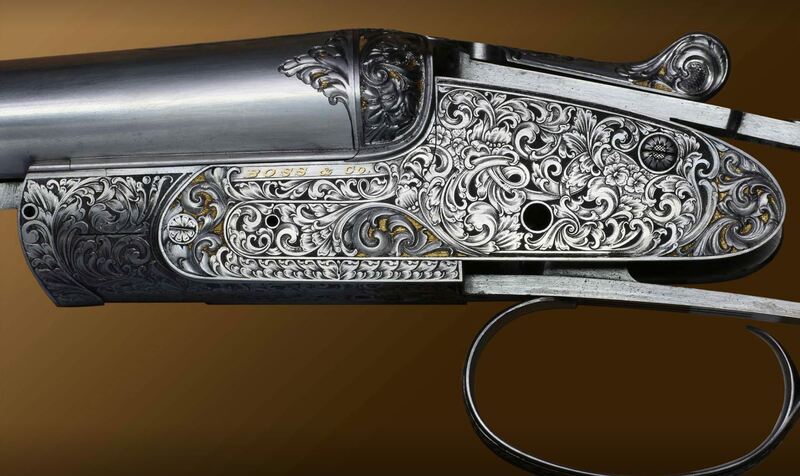 None of the markings have been buffed, and the engraving is brilliantly executed, and finely preserved with crisp edges. 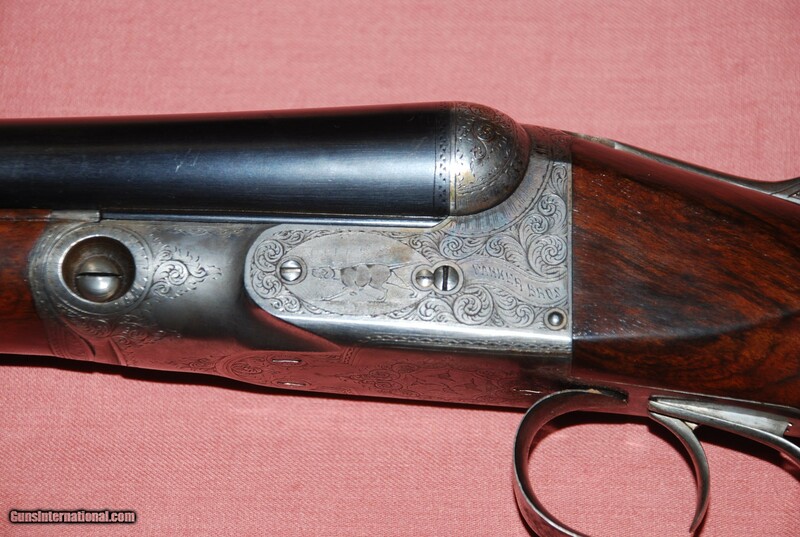 Other markings include an importer mark on the barrel from the shotgun’s re-import in 1997, as well as London House proofing from that period-the gun remains in proof. 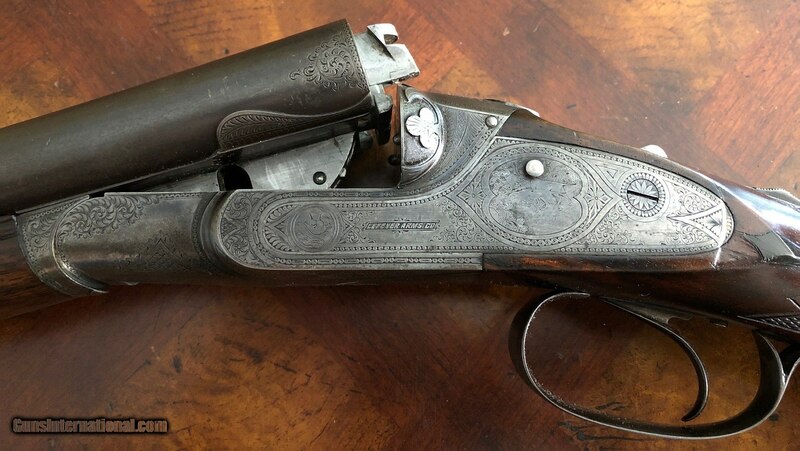 The furniture displays some handling marks and a tight, non-flexing hairline crack extending from the right of the upper tang that, having been properly attended to, does not extend all the way through. 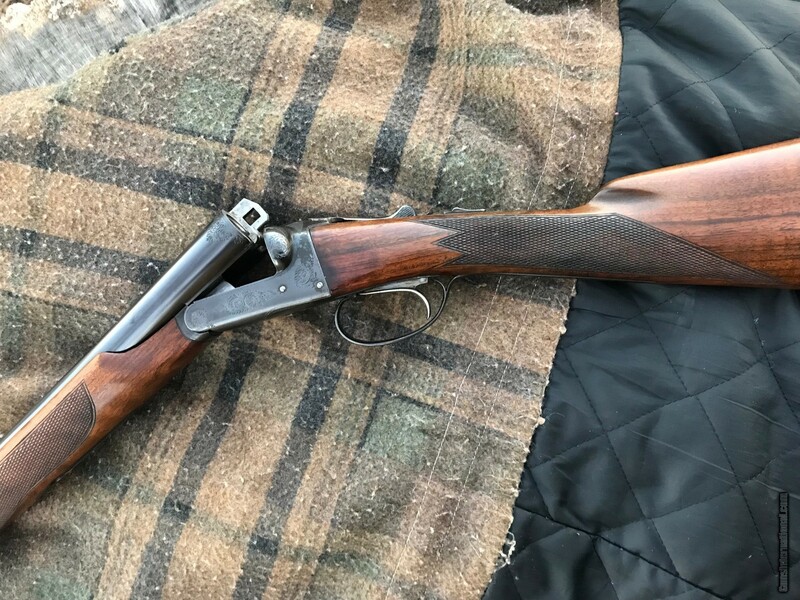 The stock is capped with a horn grip cap and period Silver’s rubber recoil pad, and the forend, fitted with an Anson & Deeley release and ebony tip, is original and excellent. Mechanically flawless, the lock up is tight with both bores on face, the gun exhibits unparalleled balance, and both bores-clean and mirror bright-are excellent to near-mint. 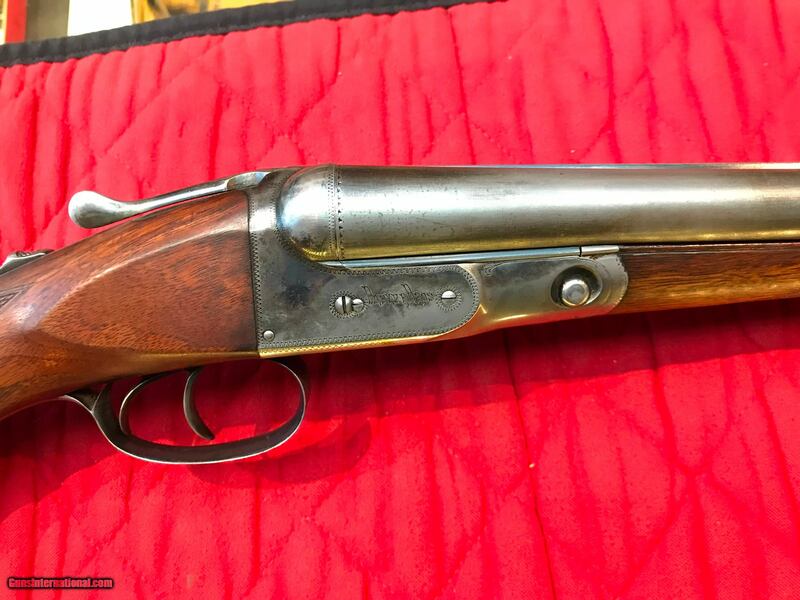 Check out the video above to get a closer look at this nice looking 28 gauge Parker Bros DHE side-by-side. 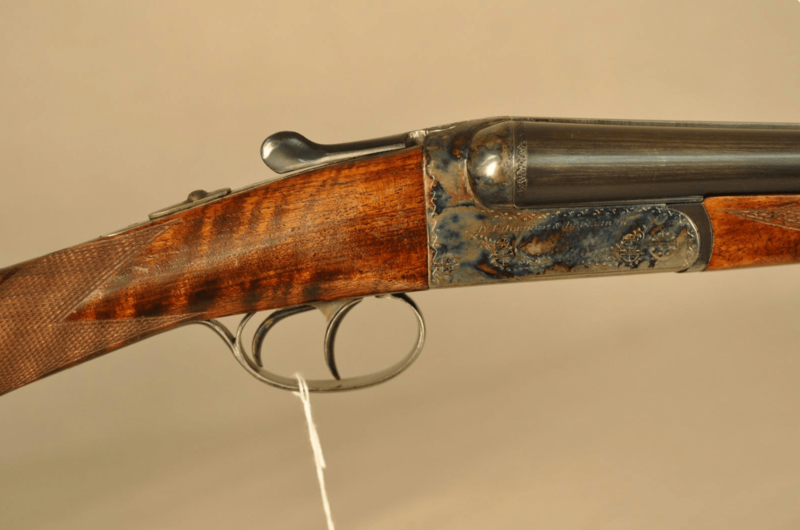 This gun, and a lot of other great doubles, are coming up at the end of the month at Poulin Auctions Spring 2019 Firearms sale. 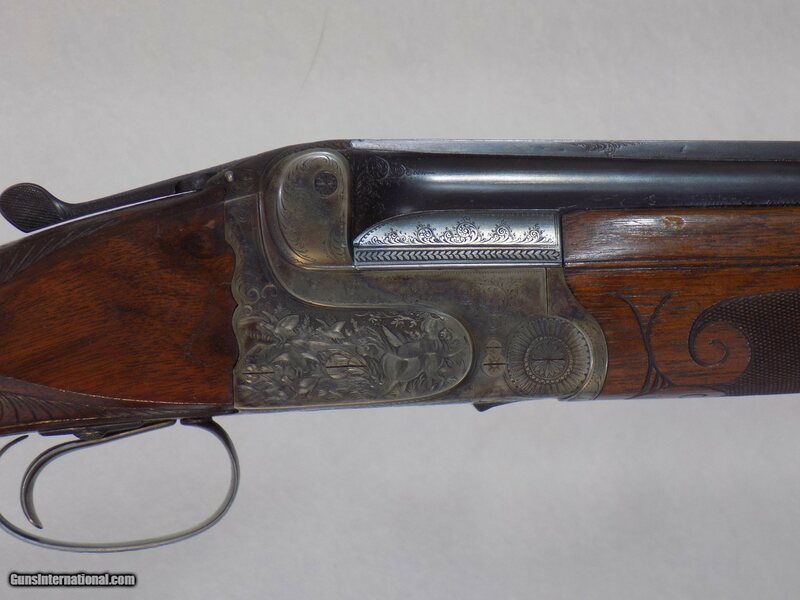 Lot: 1089, PARKER DHE GRADE SXS SHOTGUN: Cal. 28 Ga. S# 207714. Bbls. 28″ w/ 2 3/4″.chambers. Choked imp. cyl. & mod. 1924 Production. Single trigger serial numbered to gun. 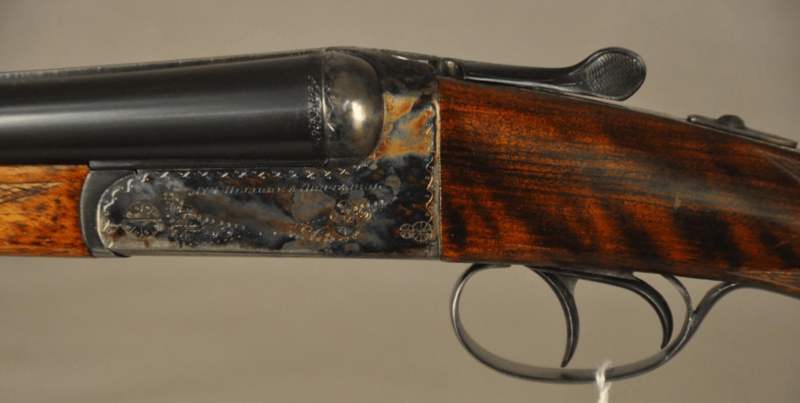 00 Frame, ejectors & color cased hardened action. Blued bbls. Capped pistol grip stock. Skeleton buttplate. 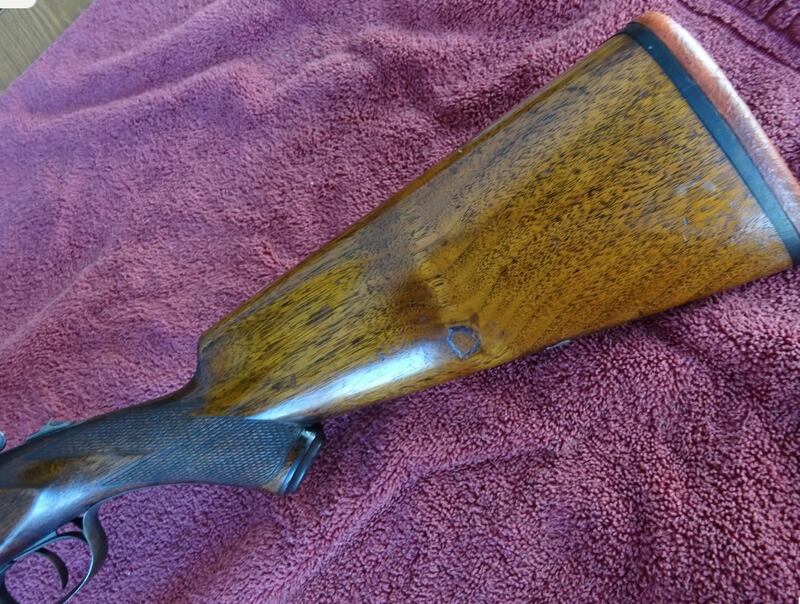 Splinter forend. LOP: 14 1/8″. DAC: 1 5/8″. DAH: 2 1/2″. Weight: 5 lbs., 14 oz. CONDITION: action retains 60% original color case hardening w/ colors fading to gray w/ noticeable wear along sharp edges & where carried. Bbls. 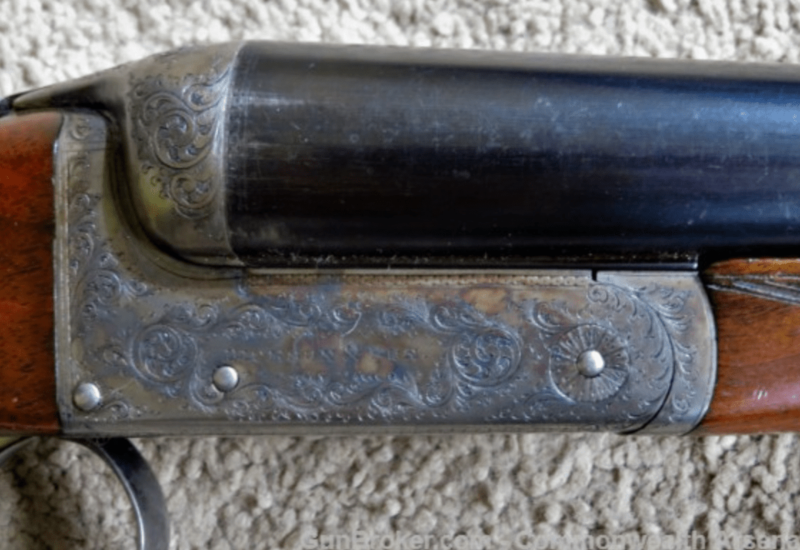 retain better than 90% original blue w/ slight fading around forend & unusual engraved rib legend. Wood remains proud to metal w/ some scattered compression marks. Wood grain is rather plain w/ some very light fiddleback. 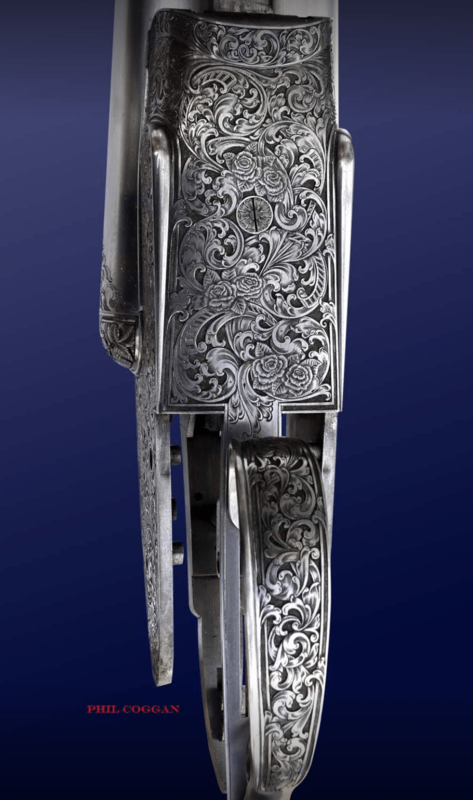 Checkering remains crisp w/in skeleton buttplate. Grip cap remains crisp. 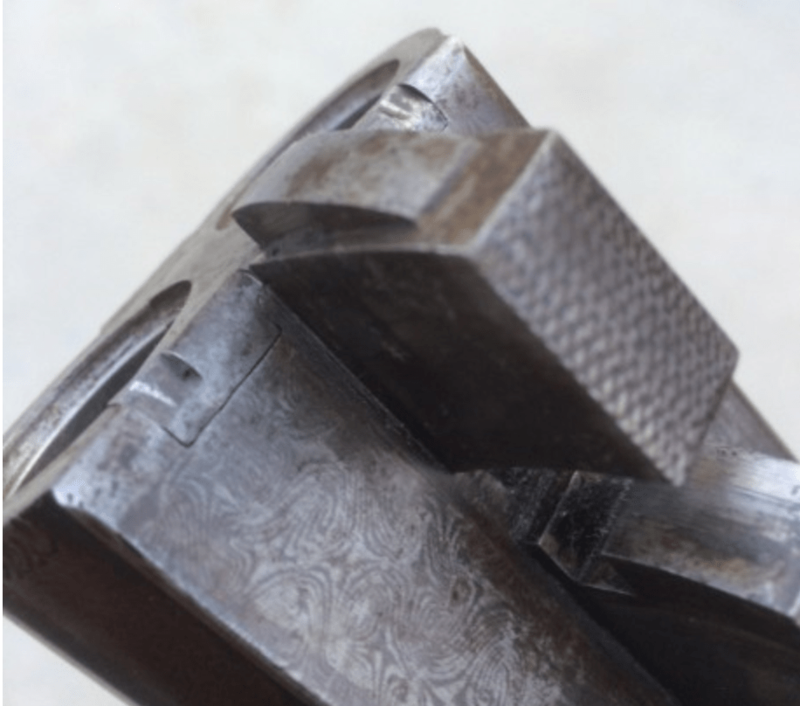 Bores are bright & shiny & measure .552″ right & .550″ left. Action locks up tight & on face though top rib extension shows slight gap at breech end. (19-154/TB). CURIO. Estimate $20,000-28,000. 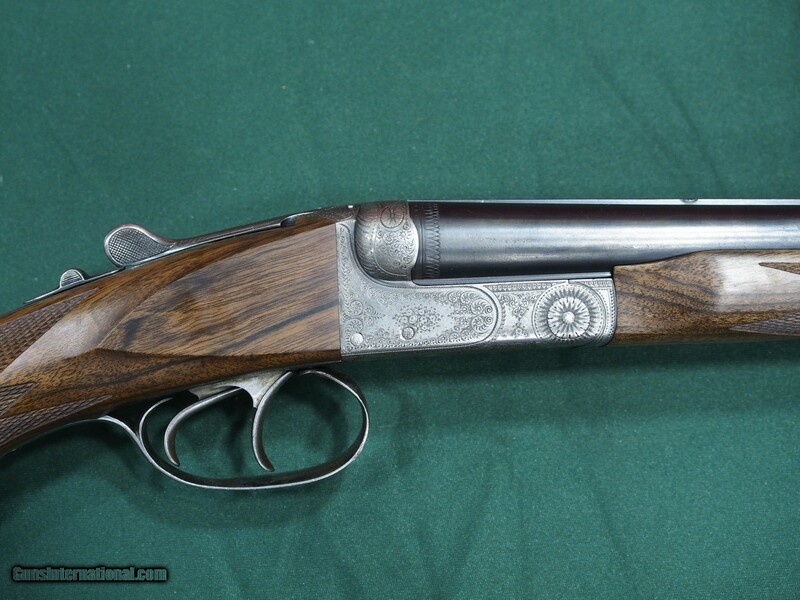 Goeman Auction Service in Lennox, SD, is having a gun auction tomorrow, 2/23. It looks like they have a bunch of nice Winchesters, including these two M21s. 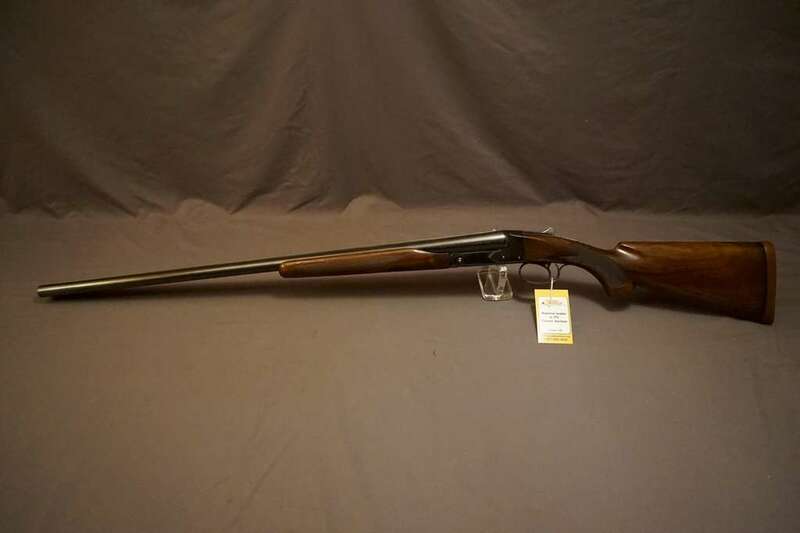 Winchester M. 21 12ga 3″ Duck S/S Shotgun: 30″ Bbls. Both full chokes. Beautiful bluing. Nice wood. Beavertail forearm. Single trigger. Few light dings on the underside of the forearm. Rates 95% SN 30170. 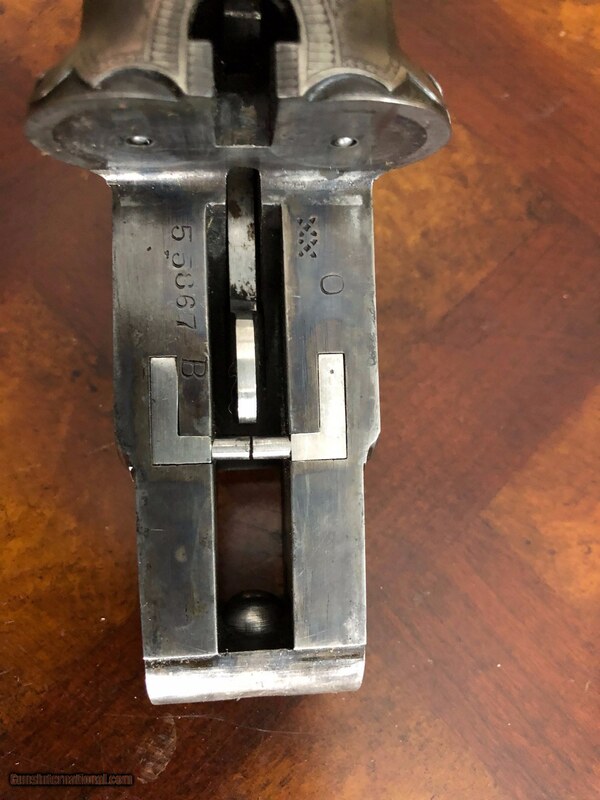 Take a good, long look at this 16g BE-grade Lefever. Chances are good you’ll never see another one again. 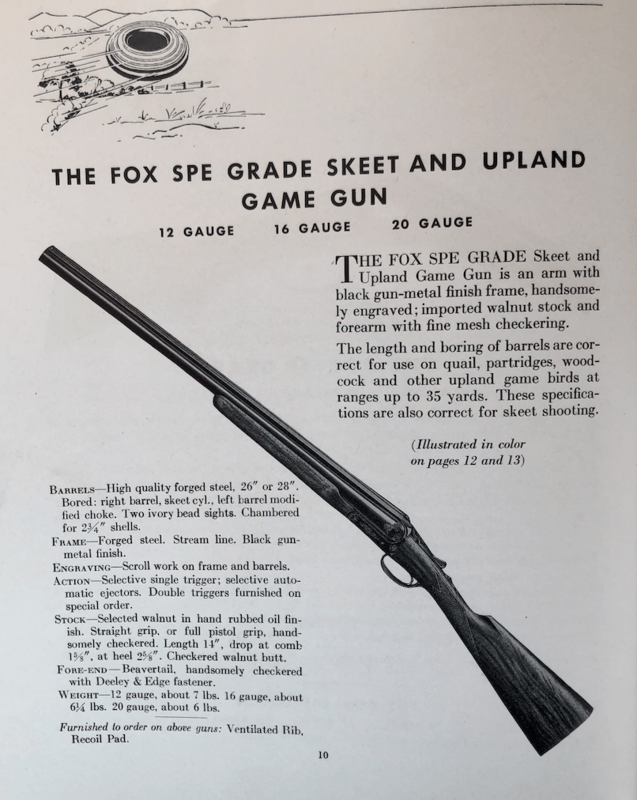 Over its short history (XXXX-XXXX) the Lefever Arms Company made far fewer guns than the other major American SxS makers — Parker, Fox, L.C. Smith, and Ithaca. 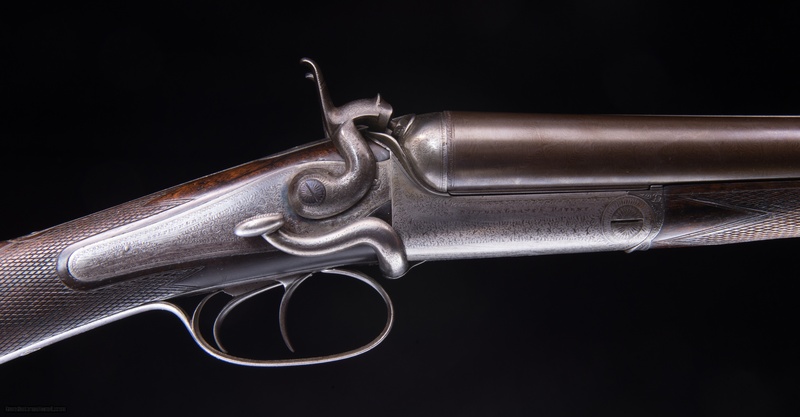 And as was the case with most gunmakers, most of the SxSs Lefever built were in their lower grades: I, DS, H, G, F. Very few of the company’s top-tier guns – the One Thousand Dollar Grade, the Optimus, the AA, A, & Bs – were made and most of these were 12 gauges. 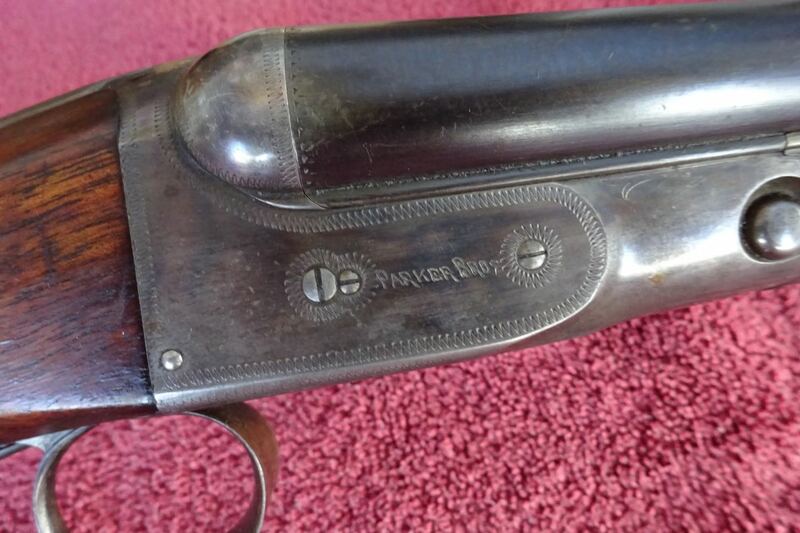 So any B-grade Lefever is a scarce gun (a BE is a B-grade with Ejectors), and a 16 gauge BE is, well, super ‘friggin rare. In 20 years of following Lefevers, this is the first one I’ve seen on the open market. 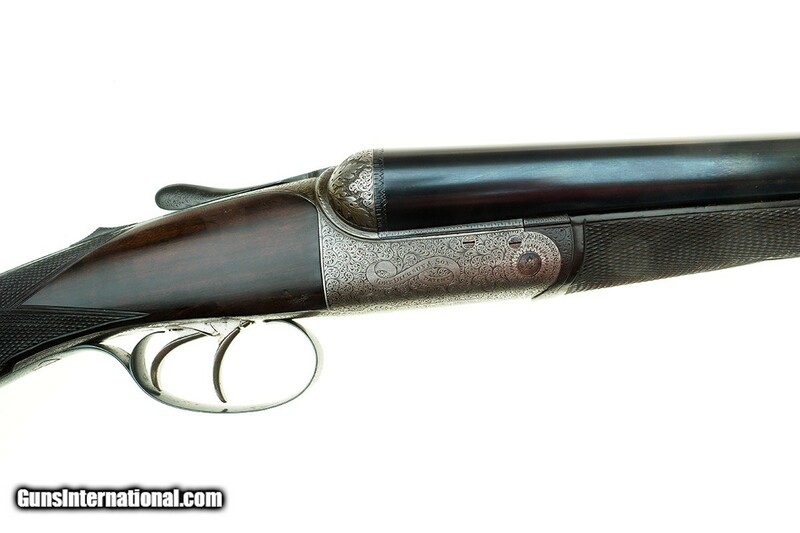 Is there a “problem” with side-by-side shotguns? Side-by-side or OU — which’s better? This debate that’s been going on for over 100 years now. 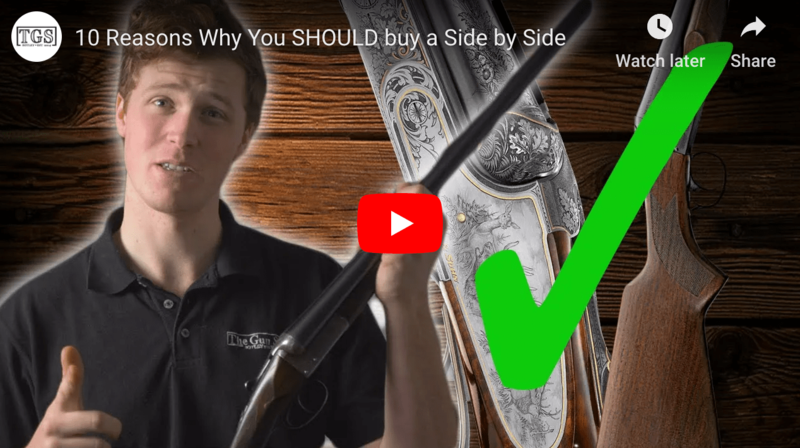 In this video The Problem With Side by Side Shotguns, the folks at The Gun Shop in Botley Mills, Hampshire, UK have their say on this issue. The video makes several excellent points. Overall, I have to agree with him, and many of the trends he points out are also leading to the decline of the SxS over here. 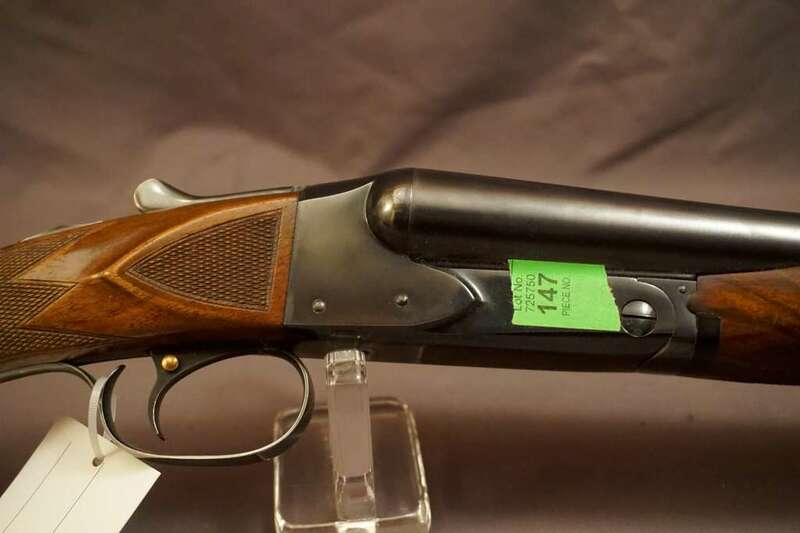 DOUBLE BARREL SHOTGUNSdouble barrel, Gun Shop Botley, problem with side by side, shotguns, side by sides, SxS, video2 Comments on Is there a “problem” with side-by-side shotguns? 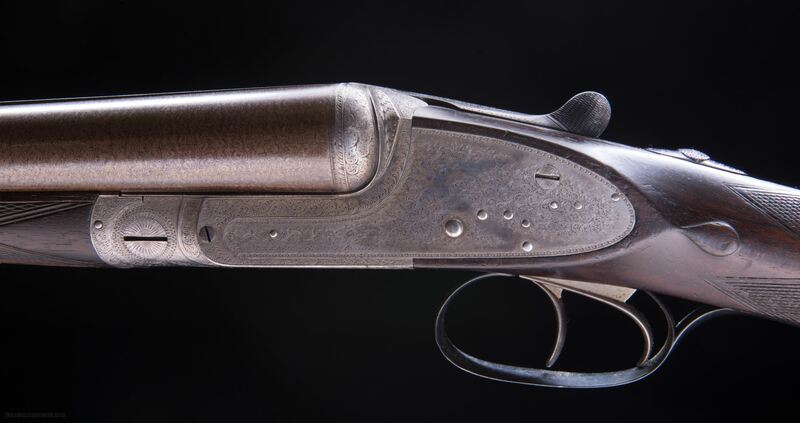 “Fair price” and “Parker shotgun” aren’t words see near each other very often — especially when a Parker is a sixteen-gauge DHE. But from what I can see, that’s just how I would describe the SxS you see here. 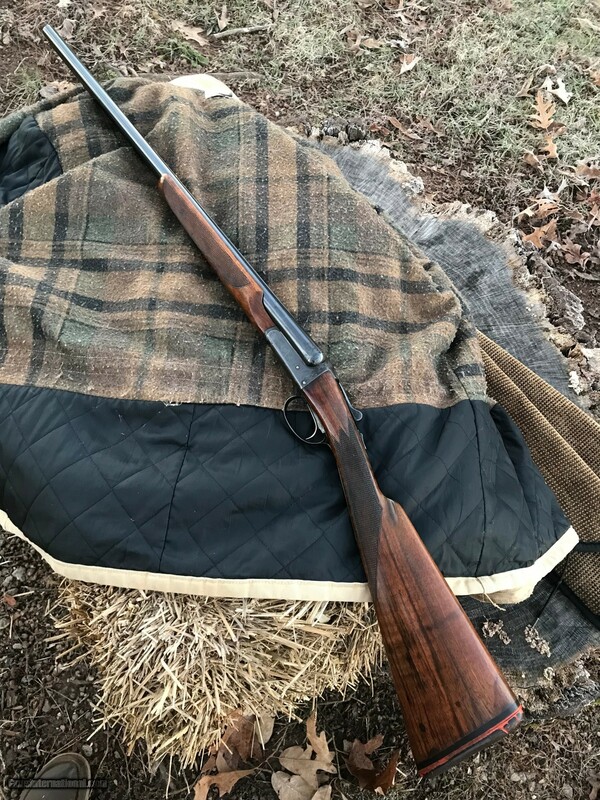 This 16 gauge Parker DHE looks like it’s in decent shape. If that’s the case, $4250 is a very fair price for it. 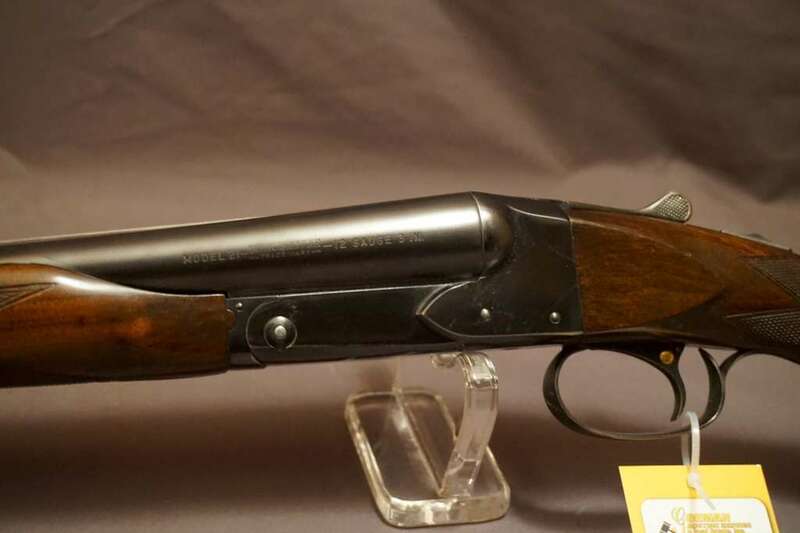 Parker DHE 16ga Side-by-Side Double Barrel Shotgun: This good condition Parker was manufactured in 1910, it has 2 1/2″ chambers and automatic ejectors. 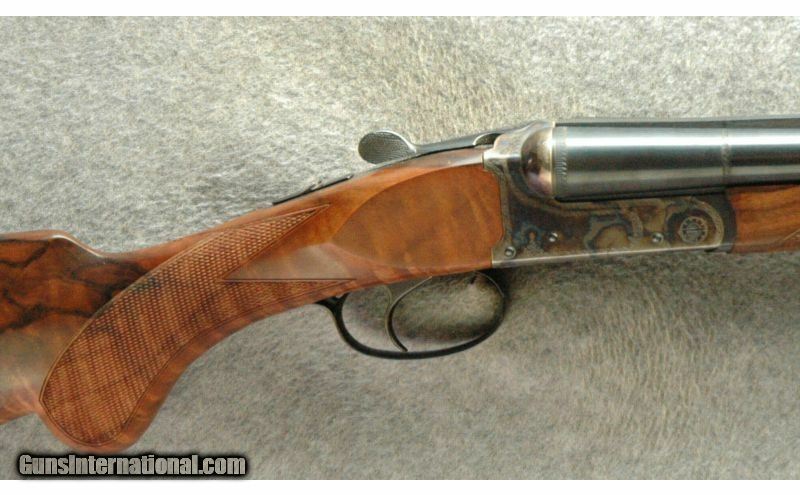 The barrel is 28″ choke improved modified/ modified. The LOP is 14 1/4, DAH is 2 7/8 and DAC is 1 3/4, weight is 6lb 14oz. The 14 1/4 LOP is to end of the pad and the gun is on a 1 frame. I do have a Parker Gun Club letter for the gun, it was ordered by the Tufts Lyons Arms Co. of Los Angeles Ca. on October 22, 1908. 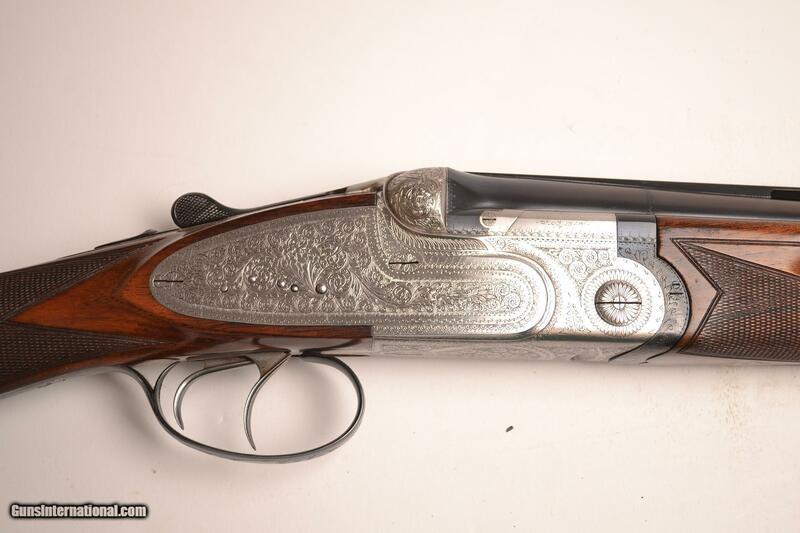 Here’s a great little double that has everything a bird gun — and a bird hunter — needs. Best of all, it’s in excellent, original condition. 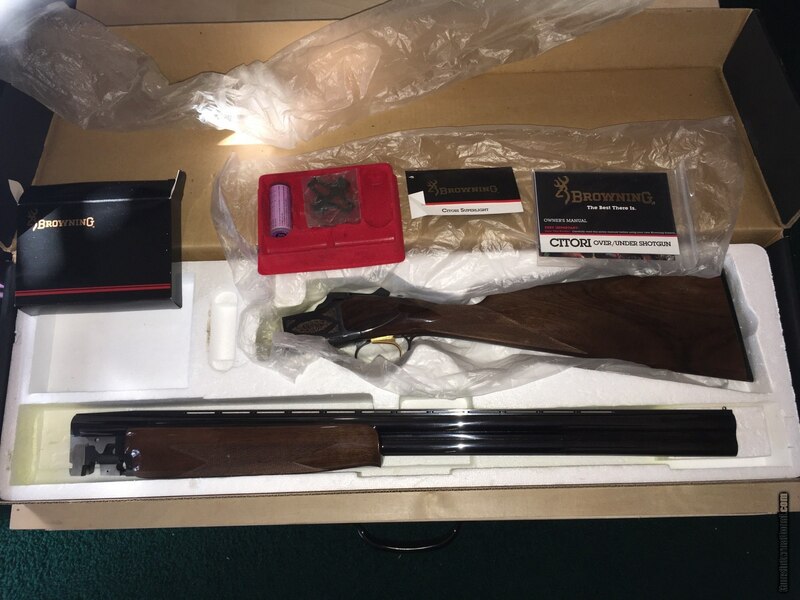 It’s on Gunrunner auctions now and the listing ends tomorrow, 12/19, in the afternoon. 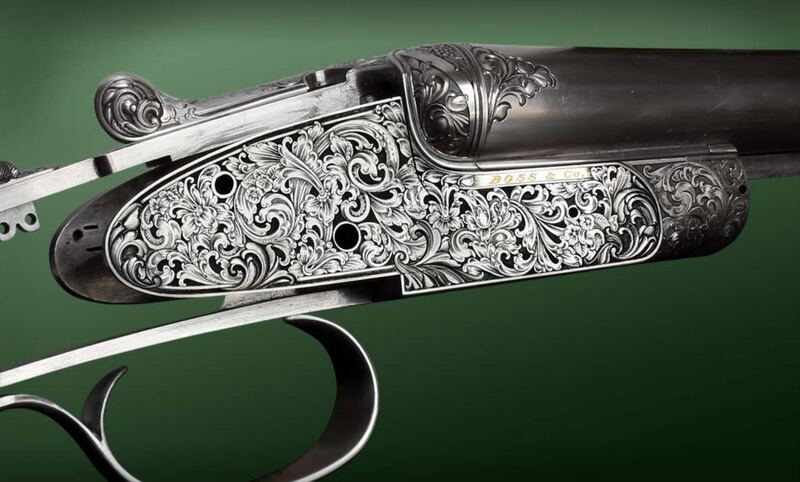 AYA is probably the most famous Spanish gunmaker in the world. They’ve been hand-making doubles for decades. In that time, they’ve earned a reputation for good-quality guns at fair prices. The AYA you see here is one of their Anson & Deeley boxlock models. Even though it’s one the company’s least expensive models, it costs around $4995 brand new today. Lot 10. 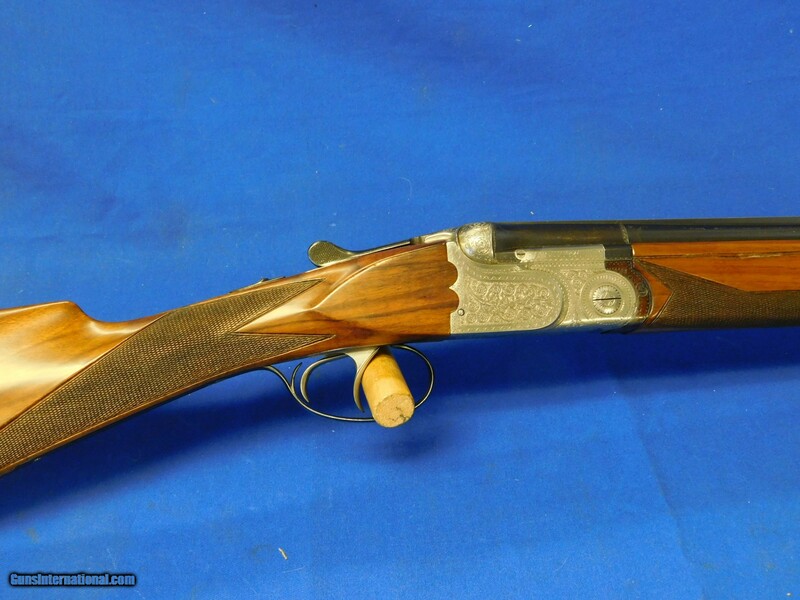 AYA Grade 4, 20 gauge side by side shotgun, 28″ barrels, Ejectors, Hard Cased, Spain: Serial #552293, mfg. Spain. Excellent condition. Very, very nice AYA 20 ga. side by side on the tiny frame and dainty wrist. 28″ tubes have excellent shiny bores and bluing is 98%+. Choked IC/M. Ejectors. Double triggers. 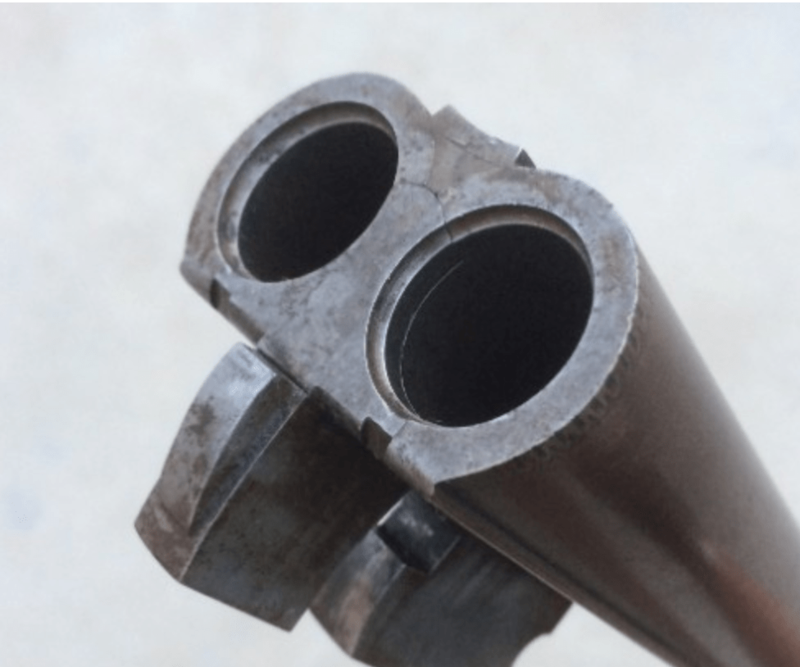 3″ magnum chambers. Wood is excellent with nice figure and has a modern solid brown pad with white spacer nicely fitted. LOP is 14 1/2″ over pad. Splinter forearm has nice checkering. All matching iron and forearm wood. Case-colored receiver is 97% with slight lower edge wear and one scratch on bottom. Some light scroll work. Tang safety. 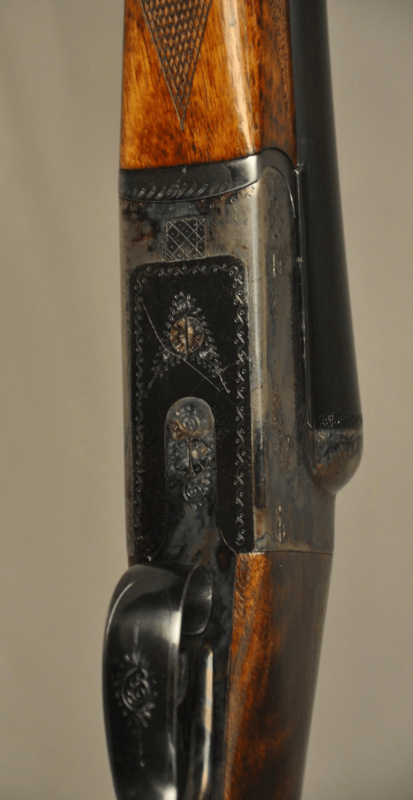 Dandy quail or dove gun! Elegant and the best of Spanish craftsmanship! Light and dainty! 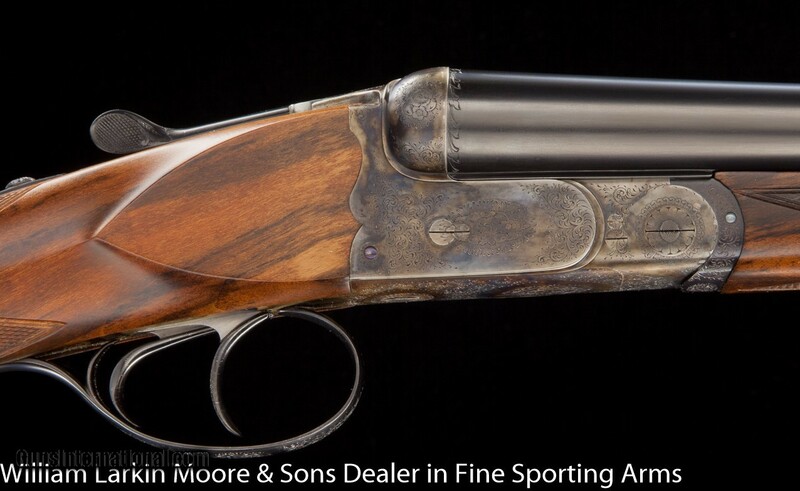 Sure Browning is famous for their Superposed and Citori OUs, and their A5 autoloaders. But the company also “made” some great SxSs. 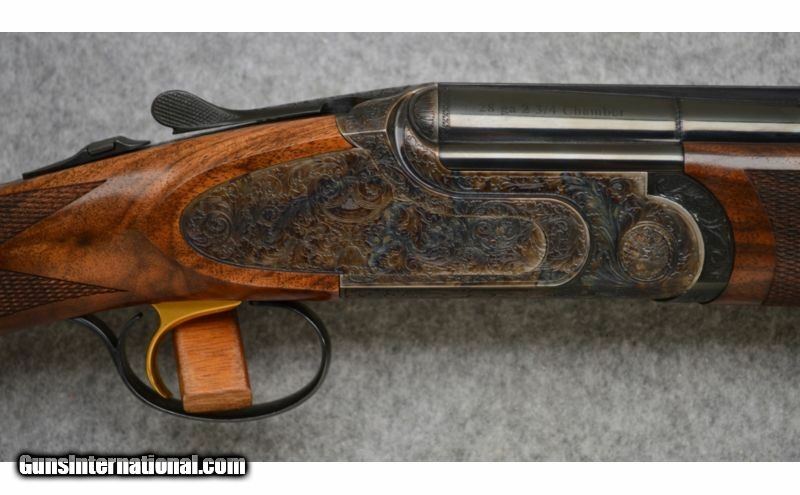 I say “made” because Browning had their SxSs built by another company (just like they did with their OUs). For the BSS, that copy was Miroku in Japan. 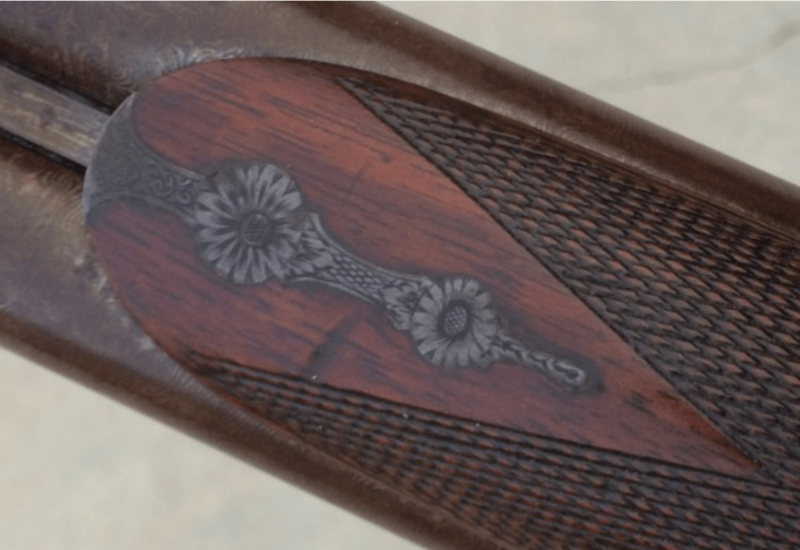 Browning offered the Miroku-made BSS from 1971 to 1988. With a straight grip and a slim forend, the gun you see here is a Sporter model, which was Browning lightweight version of this gun. 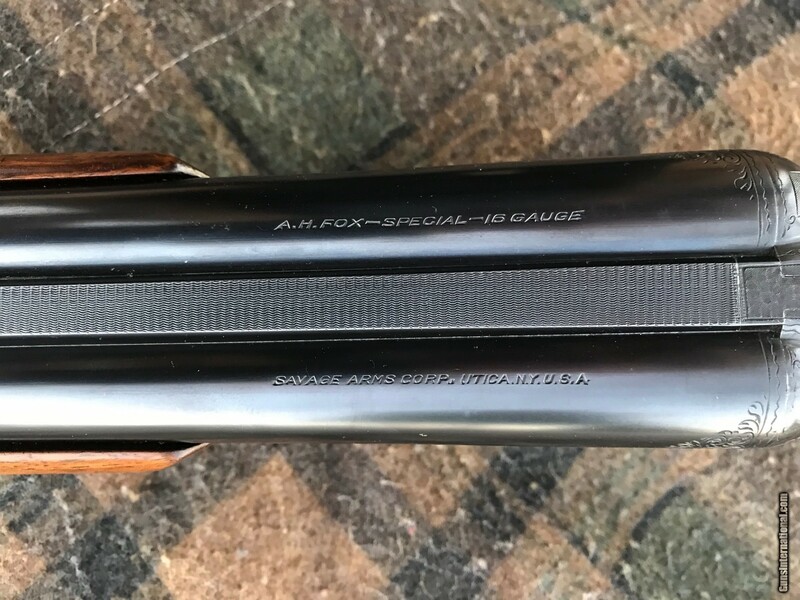 These doubles are great for grouse, woodcock, and qual, and at this price, this one is a fair deal. This week’s 5 doubles you don’t want to miss…. 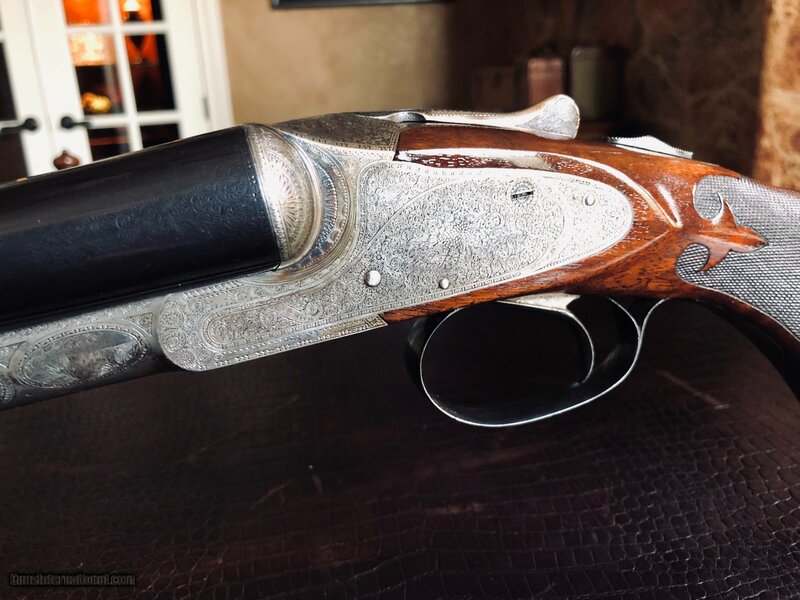 Stephen Grant Classic Hammer Sidelever SxS with original Nitro Proofed Damascus Barrels: Serial Number: 3822, Ejectors: No, Barrels: 30″, Barrel Type: Damascus, Action: back-action side lever with rebounding hammers, Gauge: 12 gauge, Stock Comb: 1 7/16″, Stock Heel: 2 1/4″, Stock Cast: 1/8″, LOP: 14 1/2″, Weight: 6 lbs. 14 oz., Choke Left: .003 Near Cyl., Choke Right: .003 Near Cyl. I’ve seen lots of hammer guns. LOTS. But this Tolley is totally new to me. It’s on Gunbroker.com now and it’s being sold at No Reserve. The listing ends tomorrow, 12/16/2018, @ 11:00 PM EST. 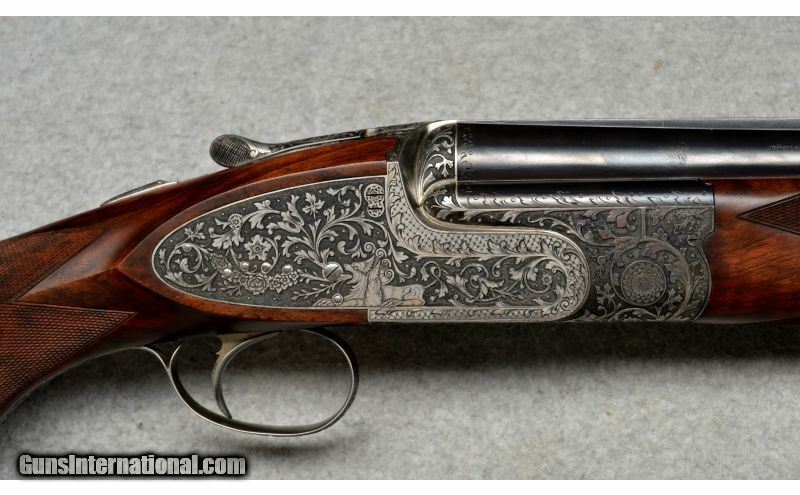 J & W Tolley, Gunmakers, was established around 1859 in Birmingham, England. 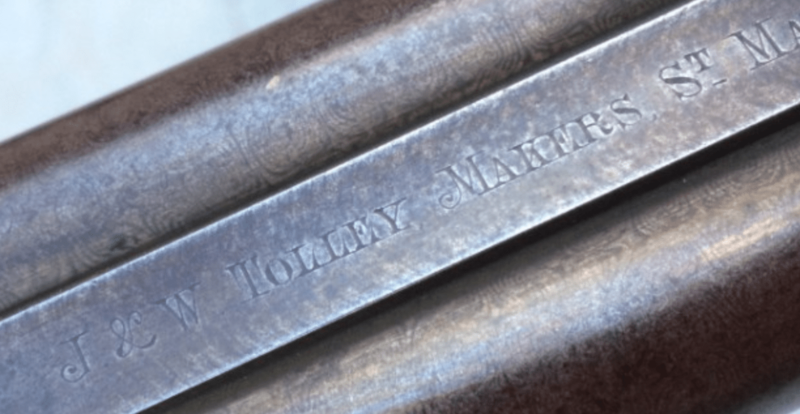 They opened a shop in London in 1883, and in 1955, the final guns carrying the J & W Tolley name were made. 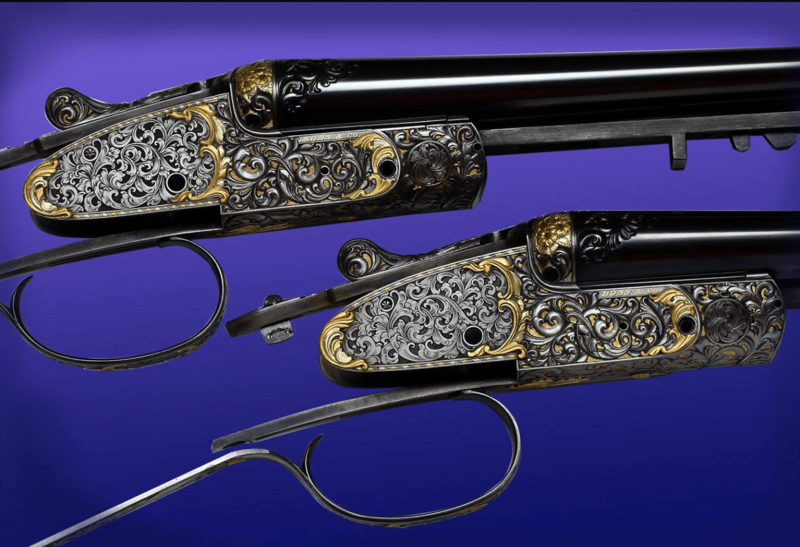 The double you see here was made early in the company’s history — around 1870 — and it has a couple unique features: the shape of its action and the way the barrels lock onto that action. Take a closer look at the pics to see what I mean. BTW: Something else worth mentioning is how great this auction listing is. 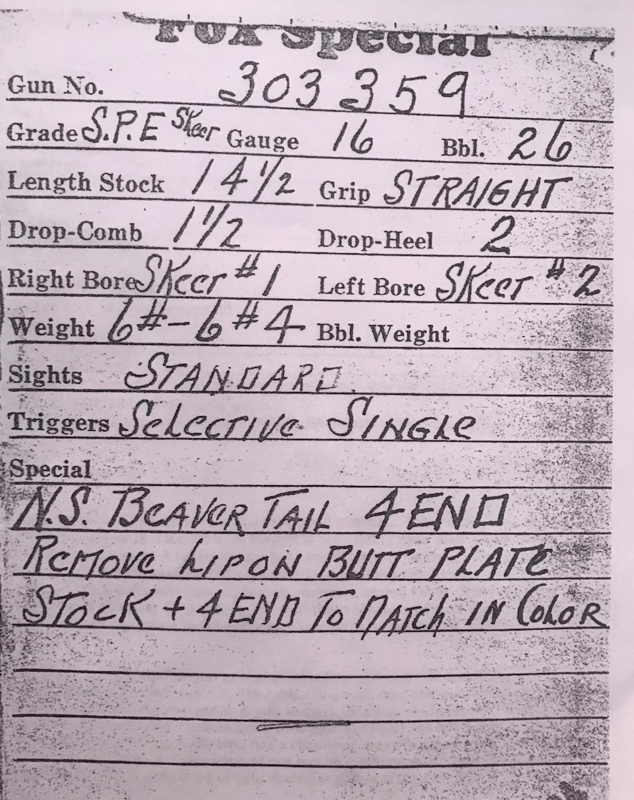 Not only are there a lot of pics, but the seller gives you a lot of info about the gun, including an outline of the gun’s flaws. 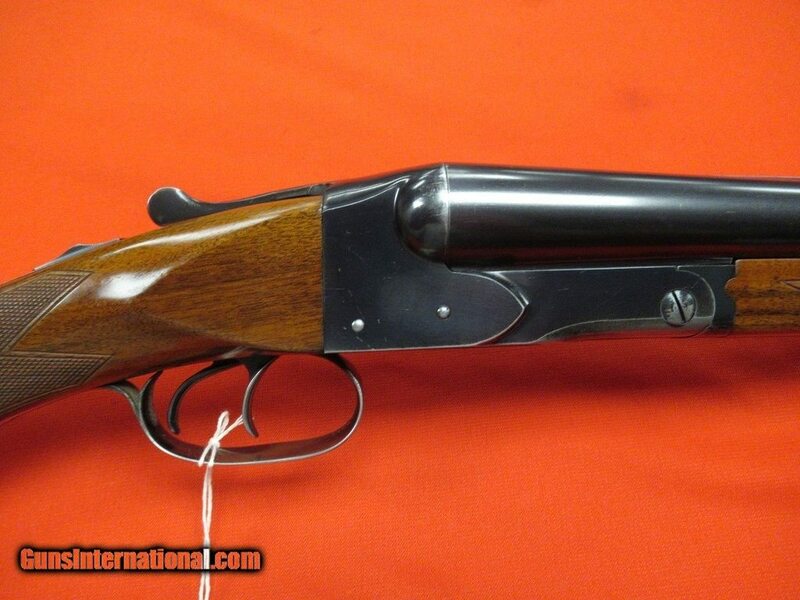 A listing like this make me feel a lot better about bidding on this gun. I wish more sellers would follow this example. 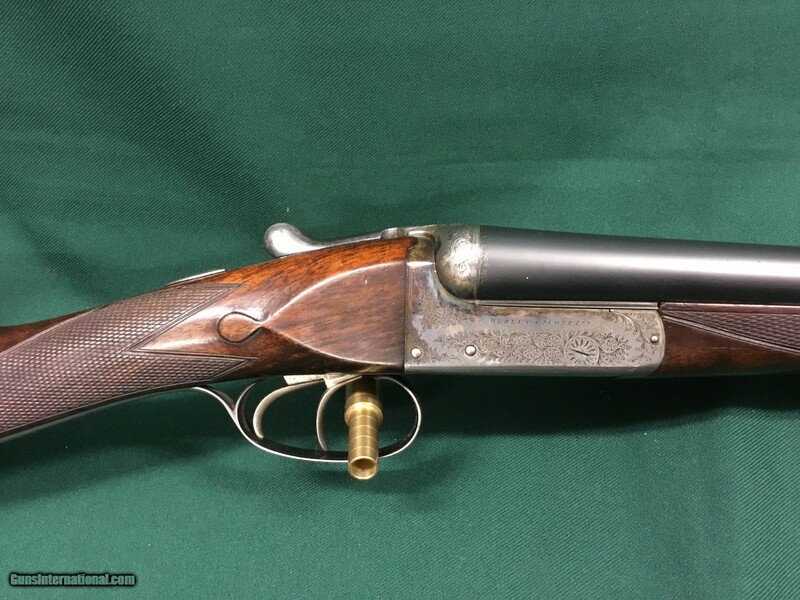 NO RESERVE, Excellent and Unique 12 gauge J&W Tolley English Hammergun: 1870s era, game-scene & scroll engraved Hammer gun. Established ca. 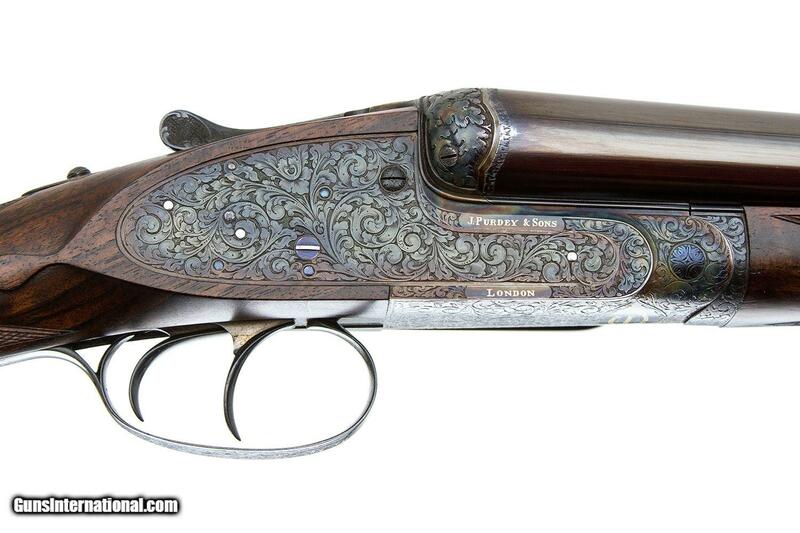 1859, Tolley gained their excellent reputation building top-shelf big bore shotguns and rifles. 8 lbs. dead-on and built like a tank with heavy duty top lever, back action locks, stout hammers & oversized “Mushroom-cap” firing pins. 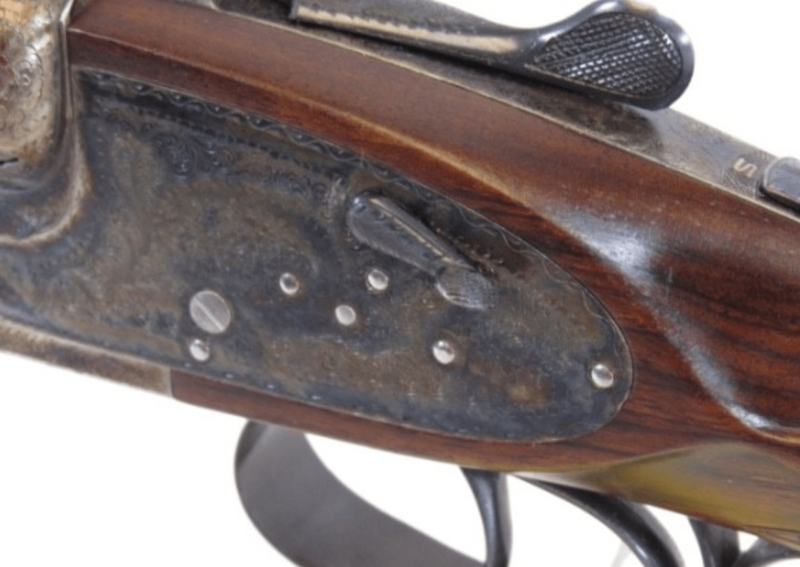 Has a unique, hidden fastener system that has to be one of the earliest examples of a hidden bite as Purdey’s, (known for 3rd bites) didn’t offer theirs until the late 1880s. 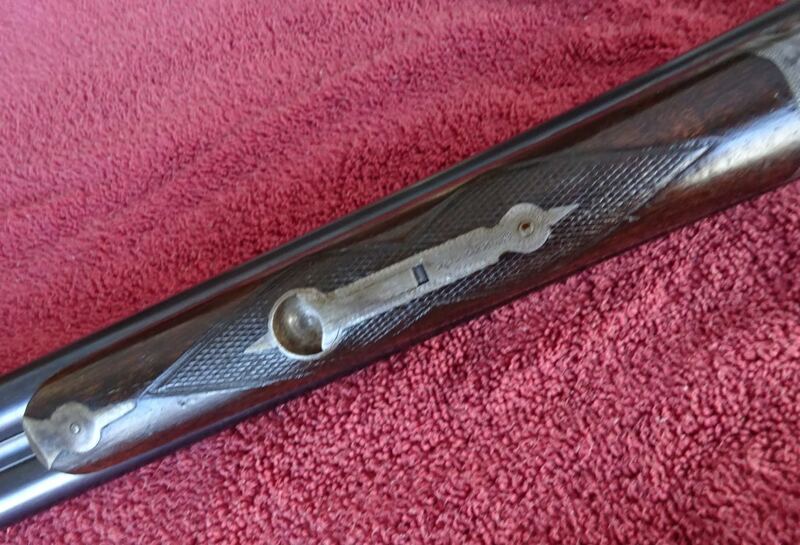 Another unique feature is the cut-away “I-Beam” frame which was likely an attempt to shave off weight or to stiffen it up. Never the less, it gives the gun a distinctive look. To top it off, there’s an odd protrusion at the underside of the muzzles – most likely to prevent damage. 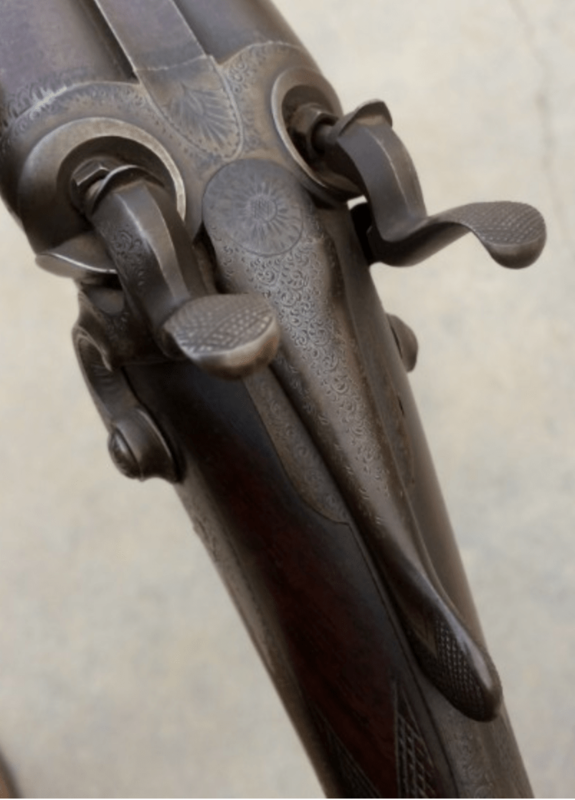 The Ivory bead is also unusual on a gun from this period. 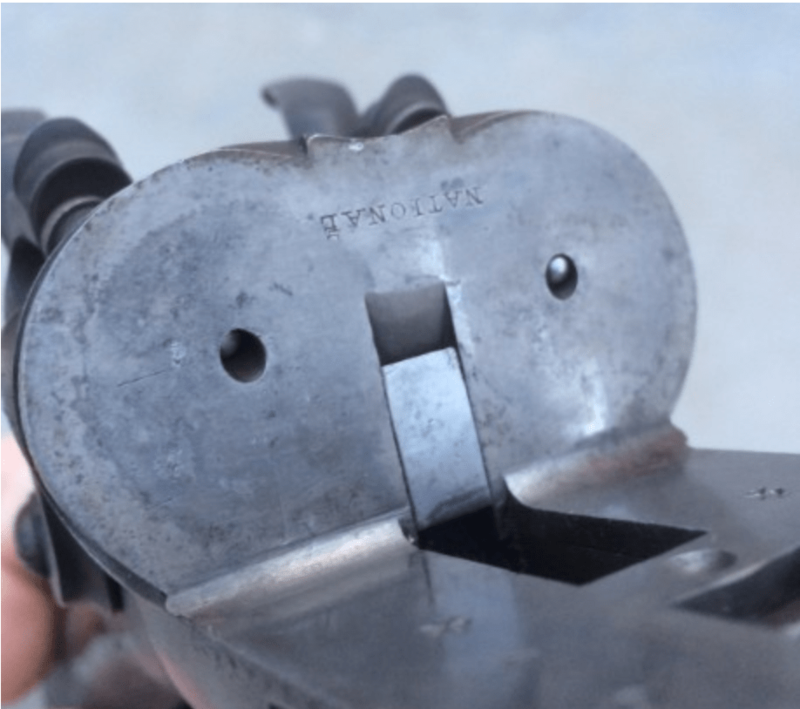 This is a real piece of British gun innovation – we’ve never seen anything like it from any maker. 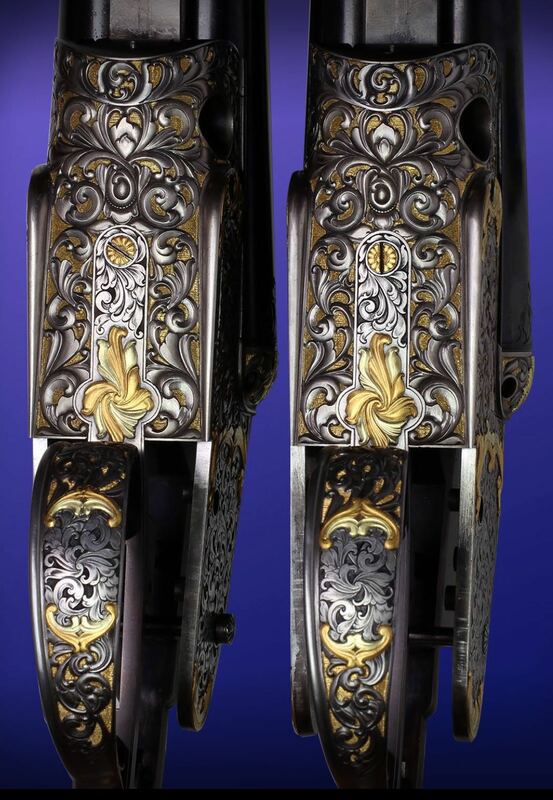 The Game-scene & scroll engraving is top-rate and also unusual for a heavy-duty gun from this era. 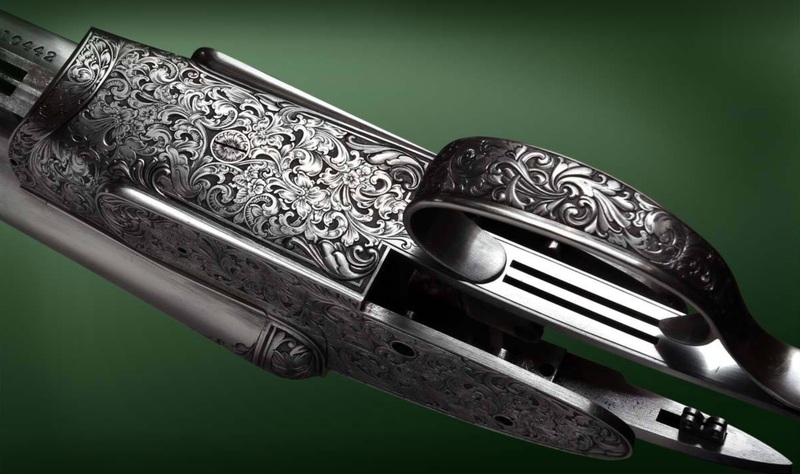 With sculpted percussion fences, detailed hammer filing, fine Damascus steel barrels, this gun is as distinctive as it is classy. 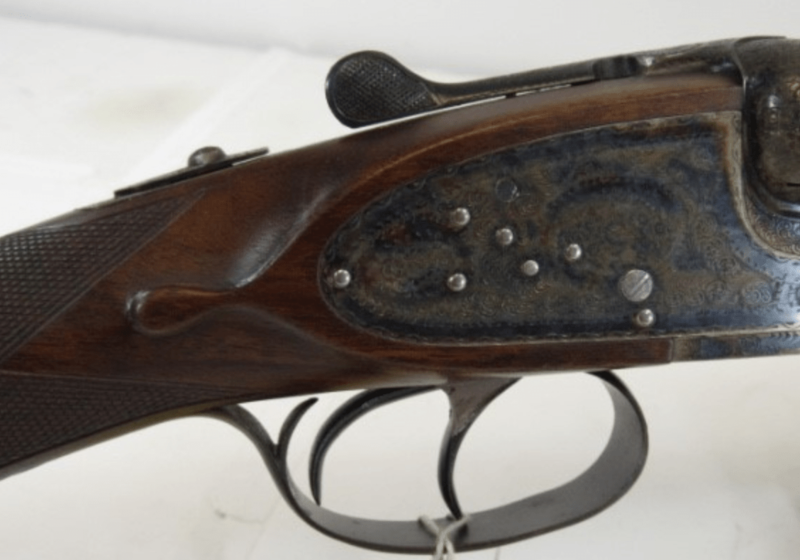 EXTERNAL CONDITION: Looks like the gun was stored on a wall as one side is clean and shows quite a bit of original finish whereas the exposed side has what appears to be a light coat of cabin soot. NOTE: An expert cleaning of the duller side would likely reveal some very nice condition. 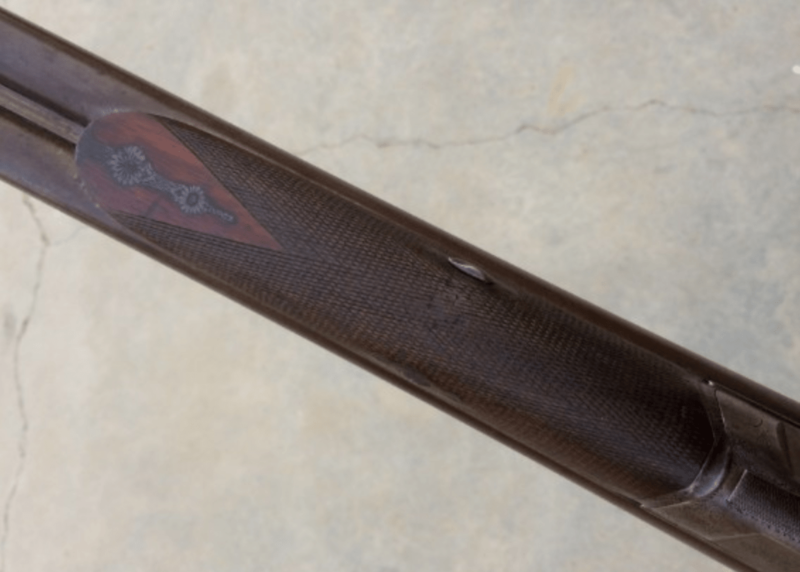 The barrels have nearly all of their original Chocolate brown and fine Damascus pattern – Barrel lettering and proof marks are clear and sharp. The action and balance of metal show no evidence of polishing or buffing – everything is crisp and sharp and mechanically excellent! 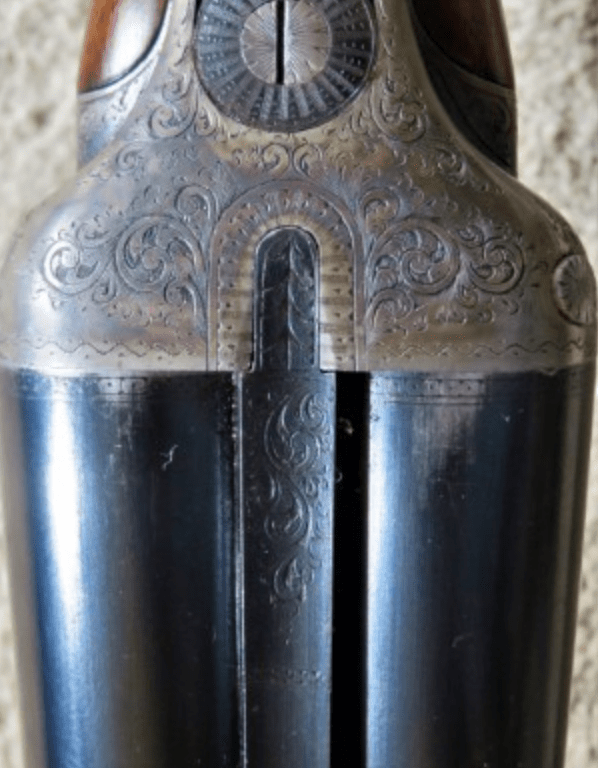 Barrels are an UN-CUT 28 3/16” (see pic of muzzles). Bores are very shiny with just a few light blemishes scattered throughout and we’d rate them a solid 9.5 / 10. Chambers are 2 ¾” with bores measuring R: .0736 & L:.731 min walls @ .733 / Choked: R: .011 / R: .007. 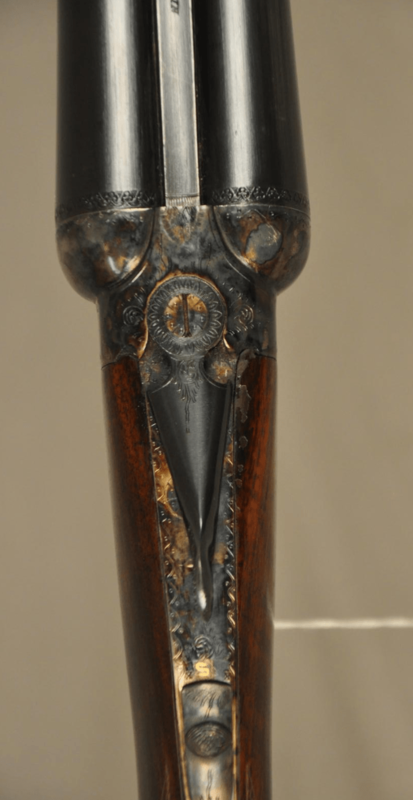 The Horn capped ½ grip stock with “Gentleman’s” dimensions measures 14 ¼” x 2 ¼ x 3 ¼” drop at heel. 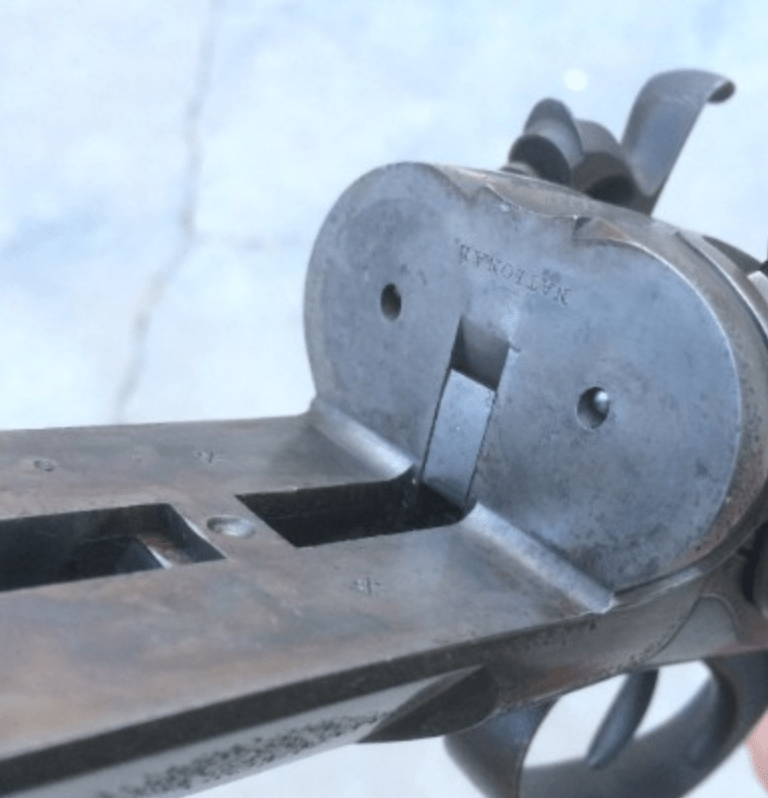 Don’t snicker at these dimensions – the gun shoulders quite well and the boys back in the day were well known for their high percentages using these measurements. 8 lbs. dead on. FLAWS: There’s a small nick on the top outside of the L bbl. a few inches from the muzzles at the 12:00 position that’s barely visible from the inside. 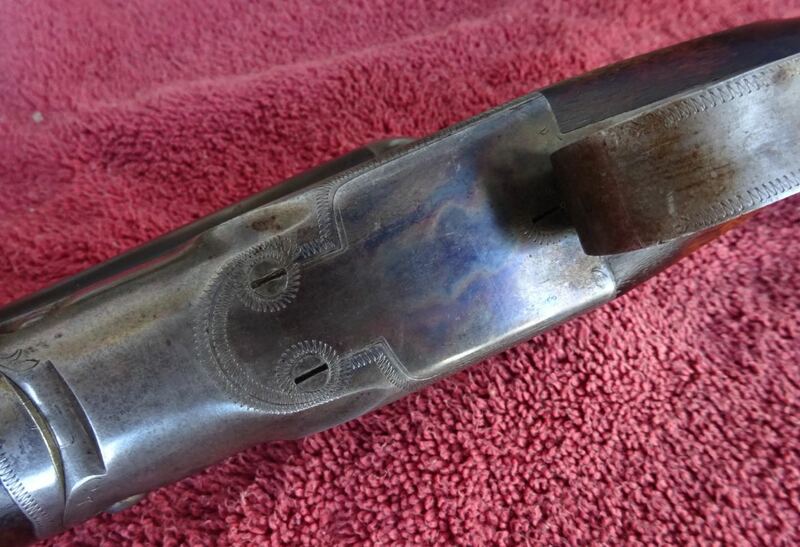 There’s also a 1/8” long sliver of wood missing alongside the top-tang (easy fix) and somebody made a small & careful attempt to remove some of the soot from the right side of the stock, but only a small patch – but that’s it. 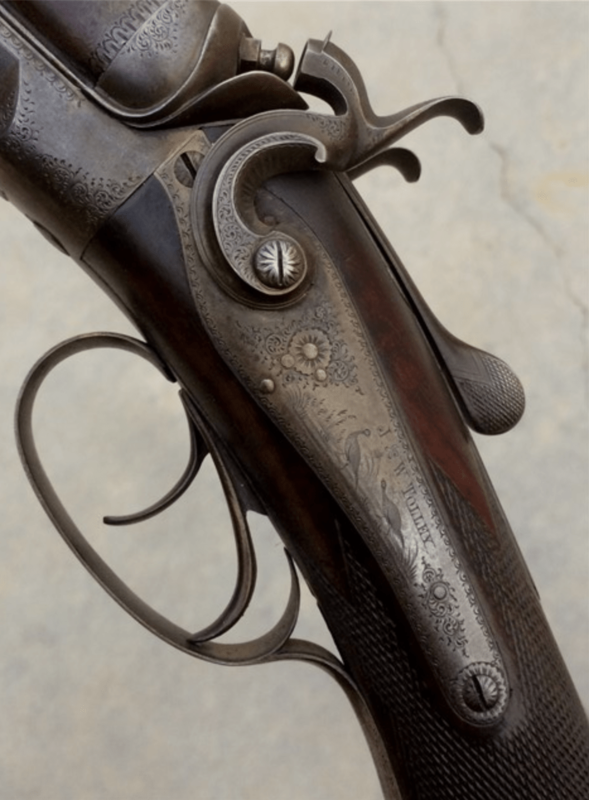 Take a close look at the wood-metal & metal-metal fit and the nearly spotless breech-face showing very little evidence of firing – this gun is tight and crisp! 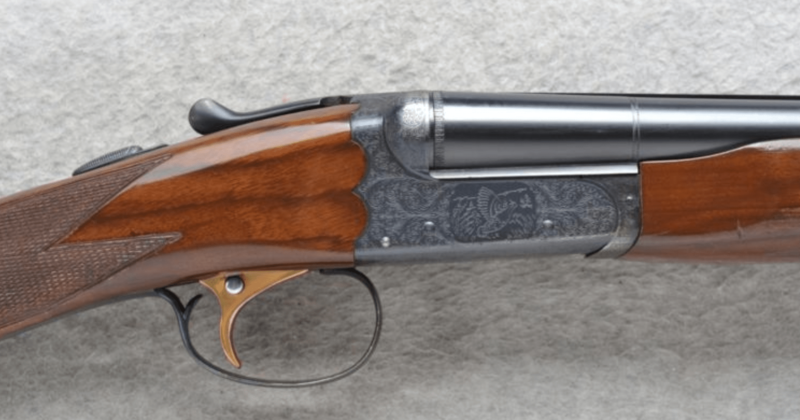 Lock-up is solid, gun is on the face and barrels ring true – no loose ribs! All-in-all, here’s a unique example that’s built like a tank from a well respected Birmingham maker in excellent condition. Sure, it’s had the screws turned a few times, and the bores touched-up, but the overall excellent, lightly used condition and unique design make this an unusual and rare find! 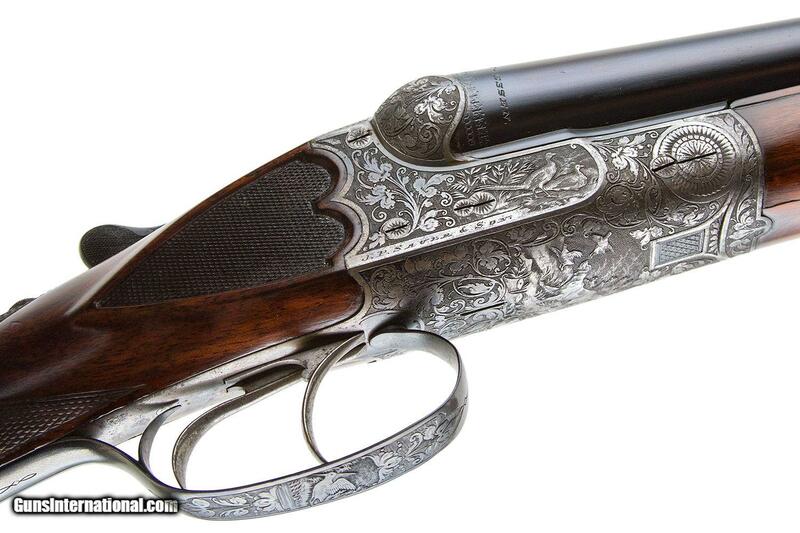 Phil Coggan’s work on a Boss & Co SxS shotgun. Pic courtesy of Phil Coggan. Engraving’s funny. 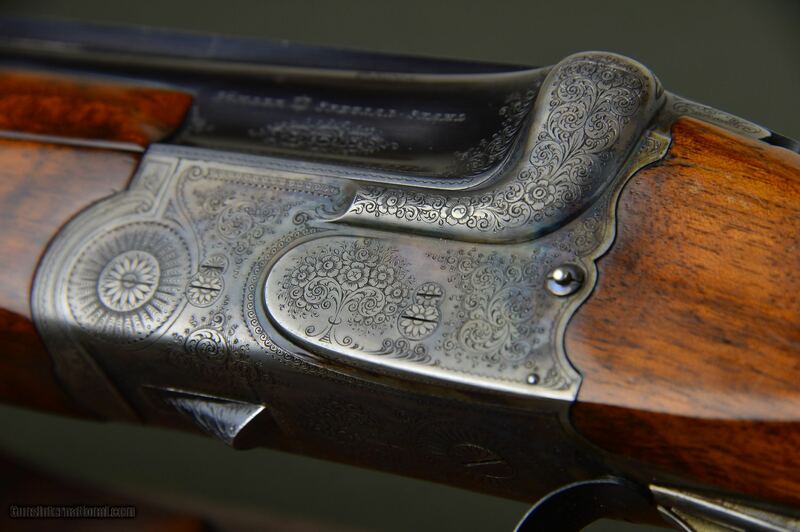 While not even the best work can make a bad gun great, lousy engraving can ruin an otherwise fantastic double. 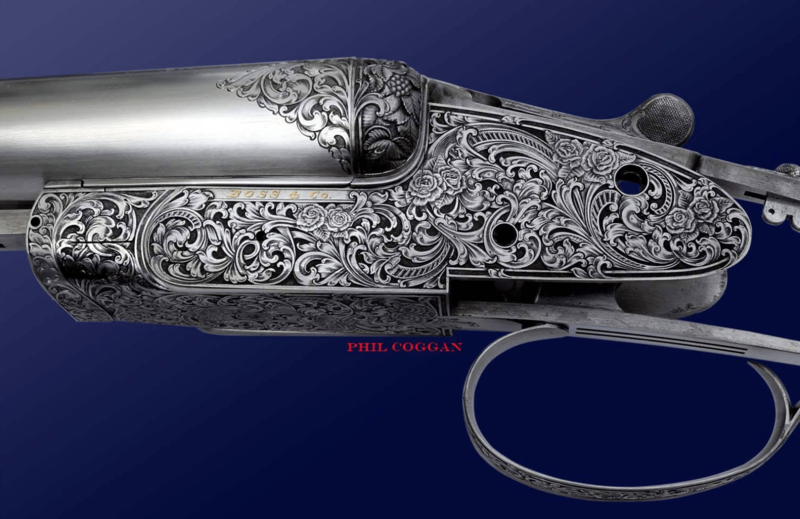 Phil Coggan is one of world finest gun engravers; his work improves the finest shotgun and increases their value. In the pics posted here, you can see why. 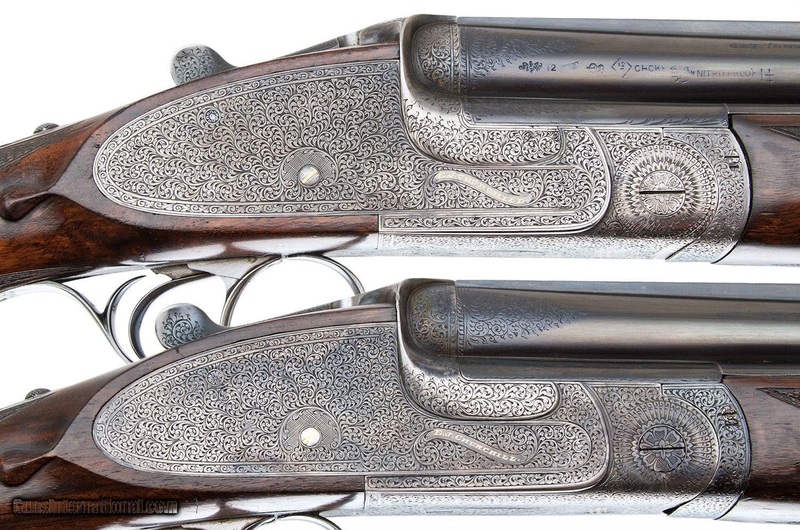 Phil Coggan’s work on a pair of Boss & Co SxS shotguns. Pic courtesy of Phil Coggan. The decades now, the AYA No. 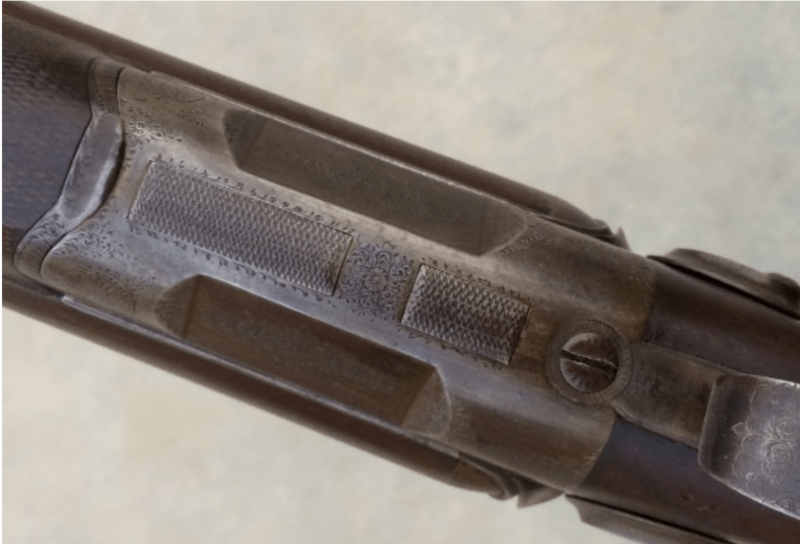 2 shotgun has been one of the most highly regarded Spanish shotguns on the market (read reviews of the shotgun in American Rifleman and in Shooting Times). Why? 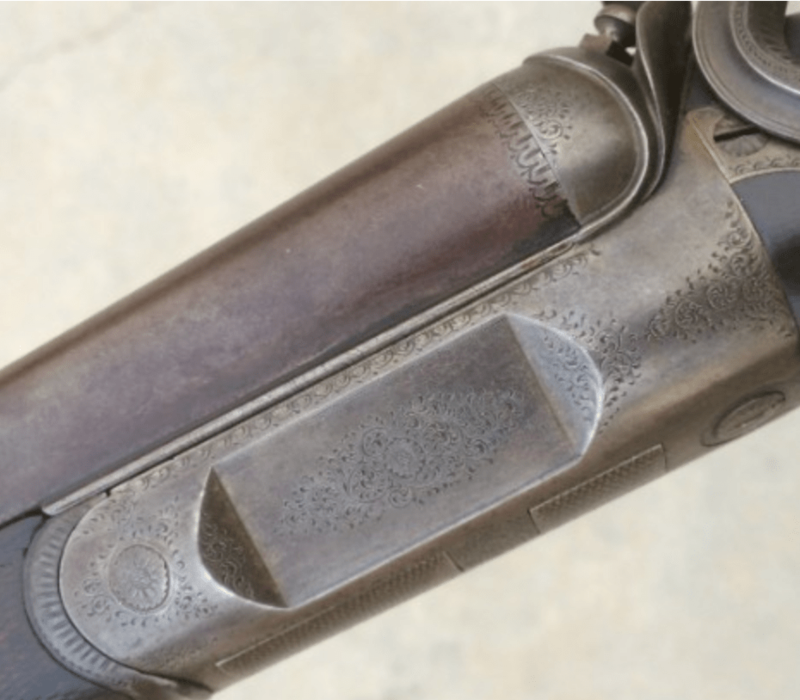 Because it’s a reliable, well-built sidelock shotgun that combines best-gun features like chopper-lump bbls and hand-detachable locks with an affordable price. 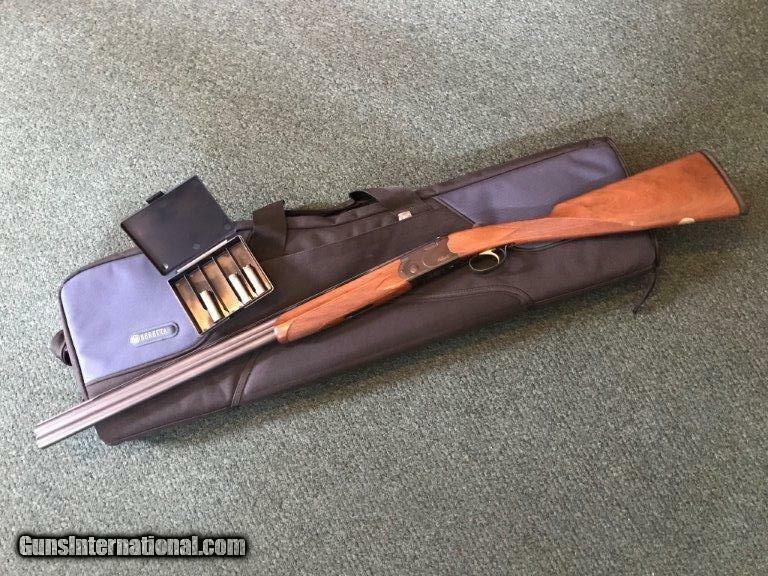 AYA #2 Sidelock SxS Mfg for Orvis 12 ga No Reserve: From what I understand, this is a number 2. The number one has higher grade wood. 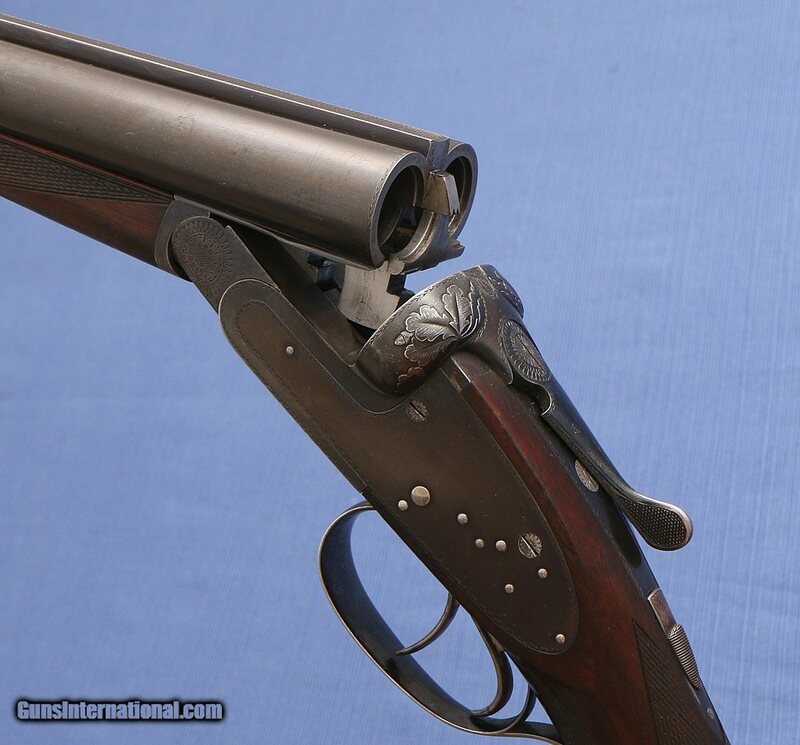 Chambered for up to 3-inch magnum shells. 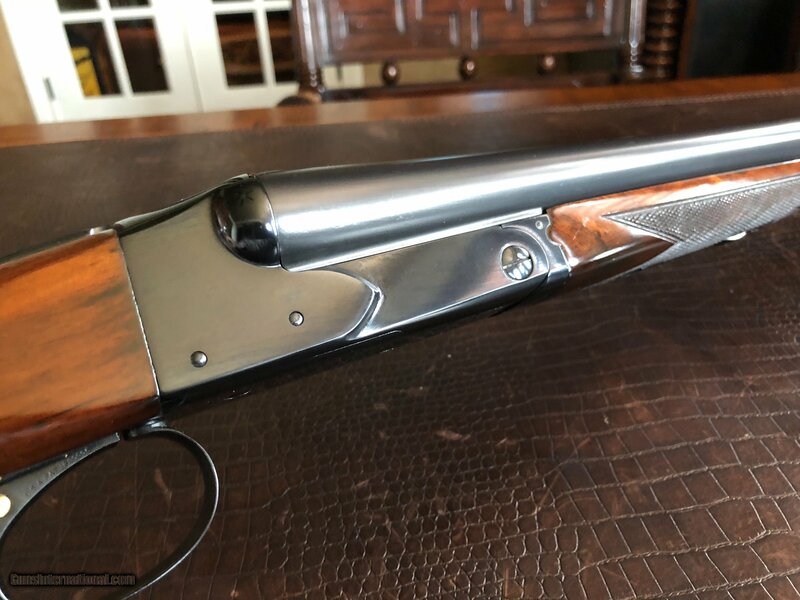 Excellent mirror shiny bores, modified and quarter chokes, 28-inch barrels retaining a conservative 96% finish. it appears that there were two sets of barrels for this side-by-side at one time, as indicated by the number 1 on the barrels. we have tried to locate them with no luck so far. 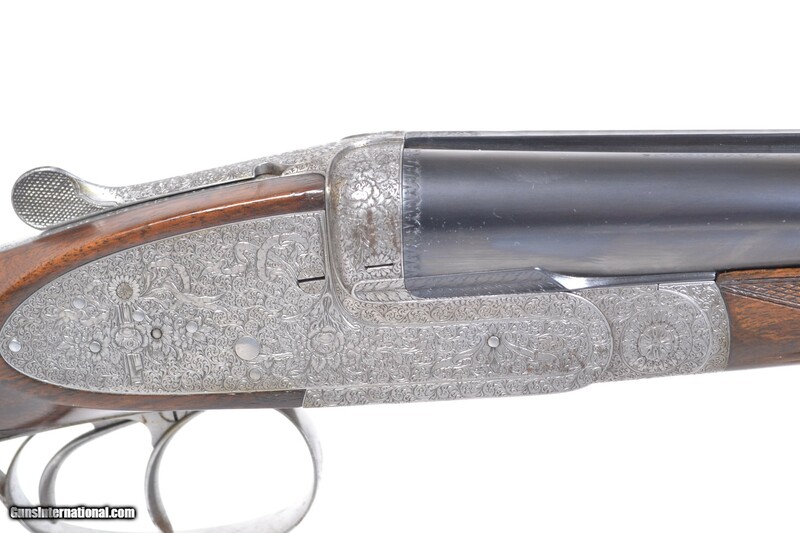 The coloring on the receiver is better than 98%, the engraving is beautiful. 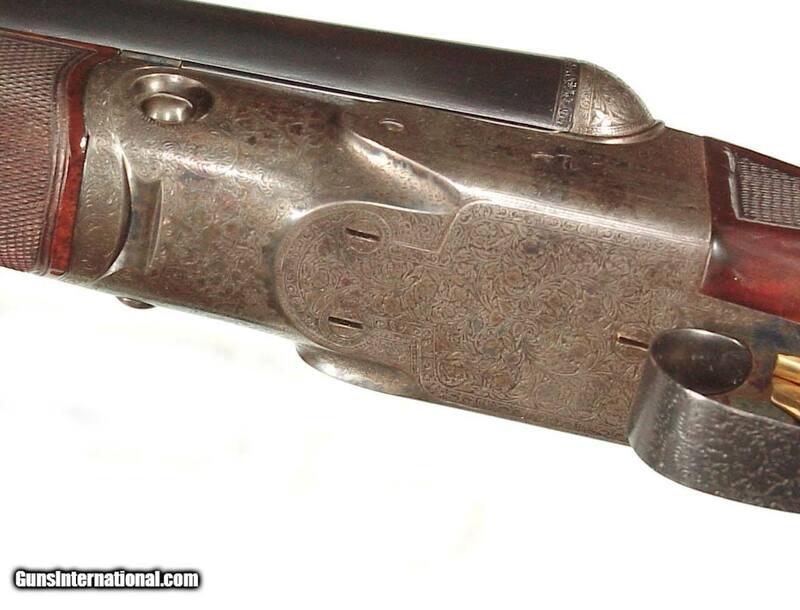 The trigger guard is thicker on the right side, set up for right-hand shooting. 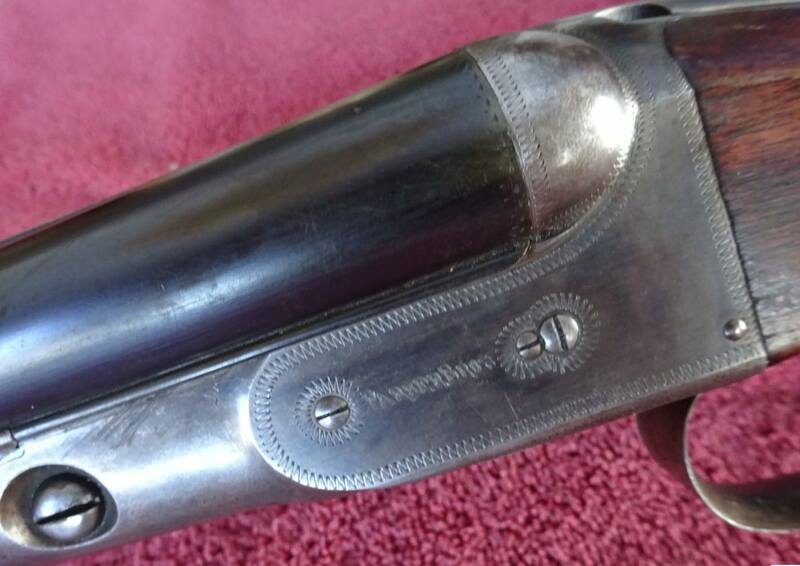 The bottom of the trigger guard is engraved with three letters, the previous owner’s initials. 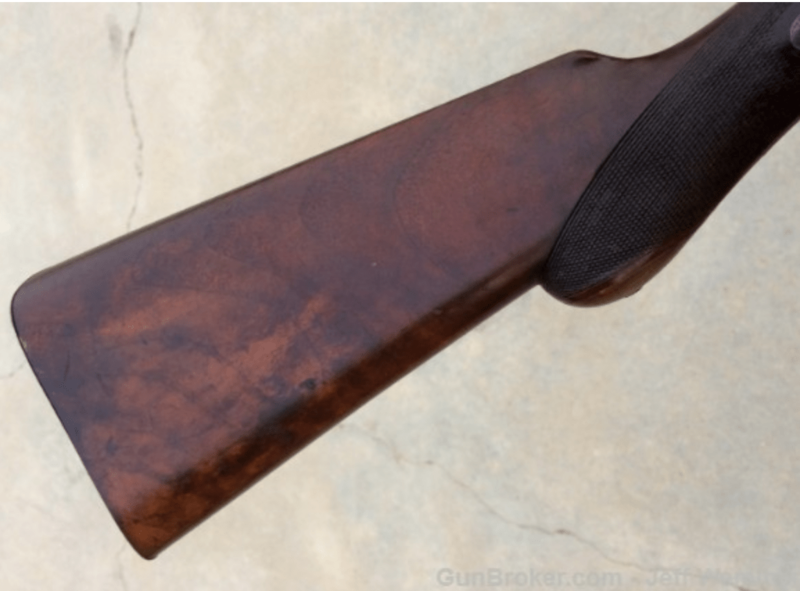 The stock shows only a few very light handling blemishes and would rate 96%. 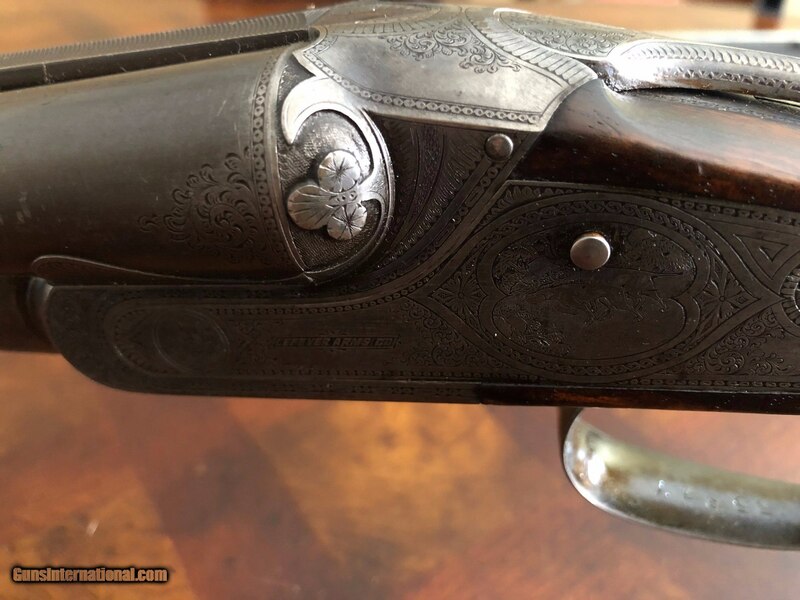 The leather recoil pad is in excellent condition. LOP is 14 inches to the front trigger. 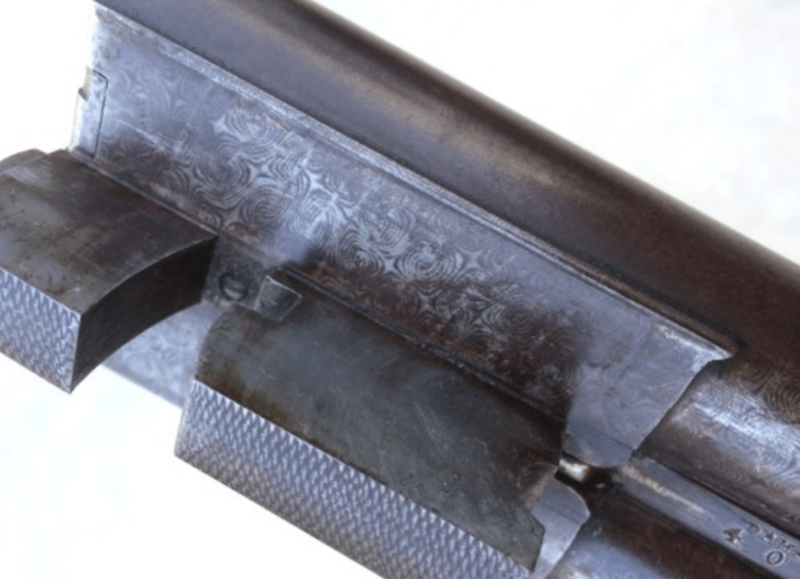 On the forend, there is a very small crack that there will be photographs taken of. It appears to be non-structural. If not for that, it would rate 96%. everything is tight, along with lockup being rock solid. A beautiful double with Nice balance. Weighs exactly 7 pounds.